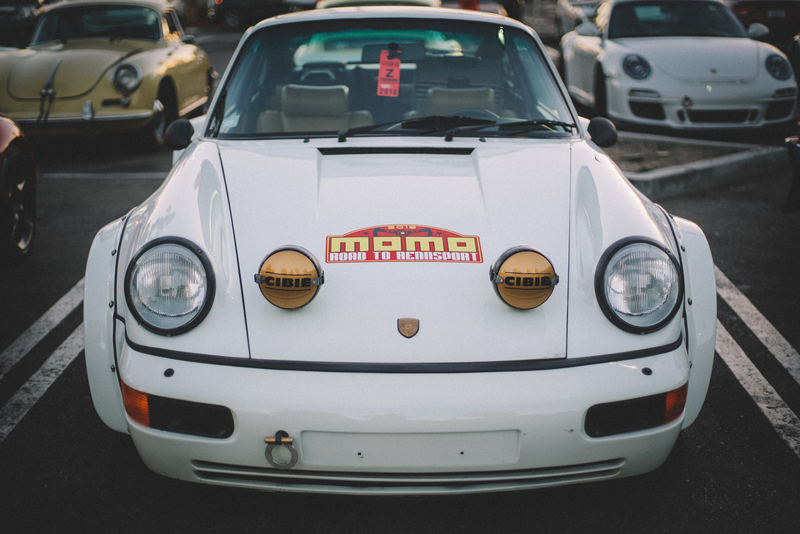 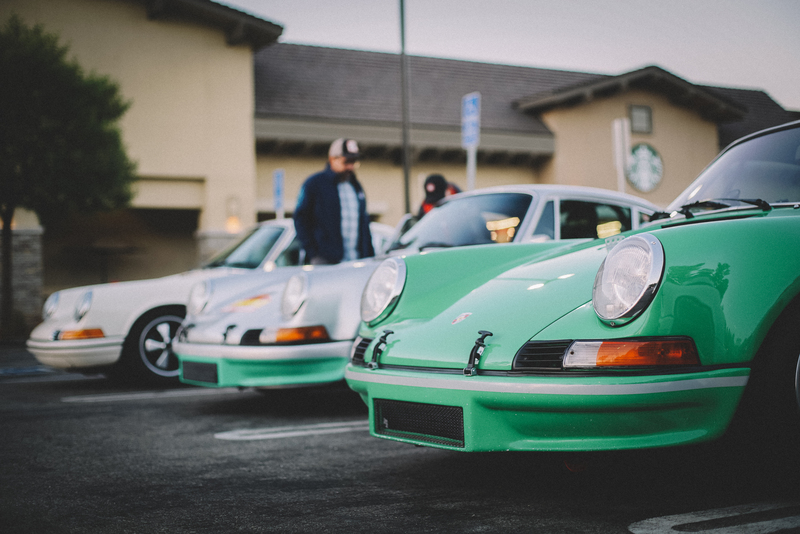 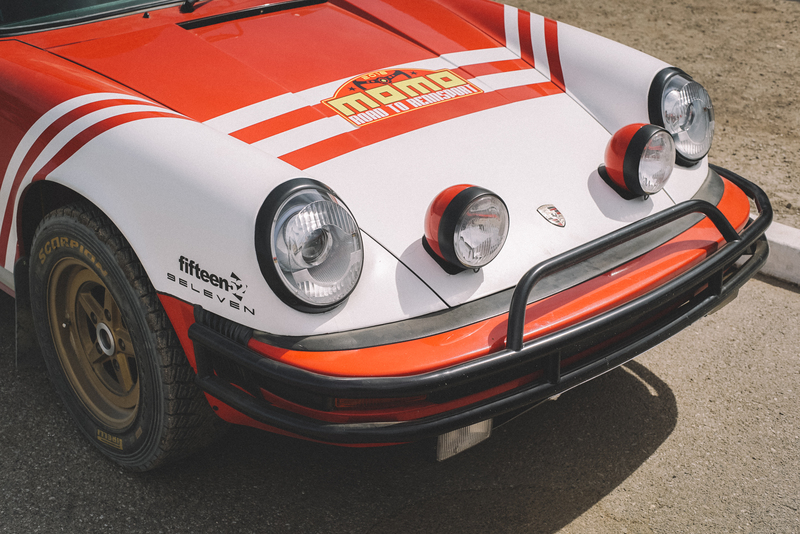 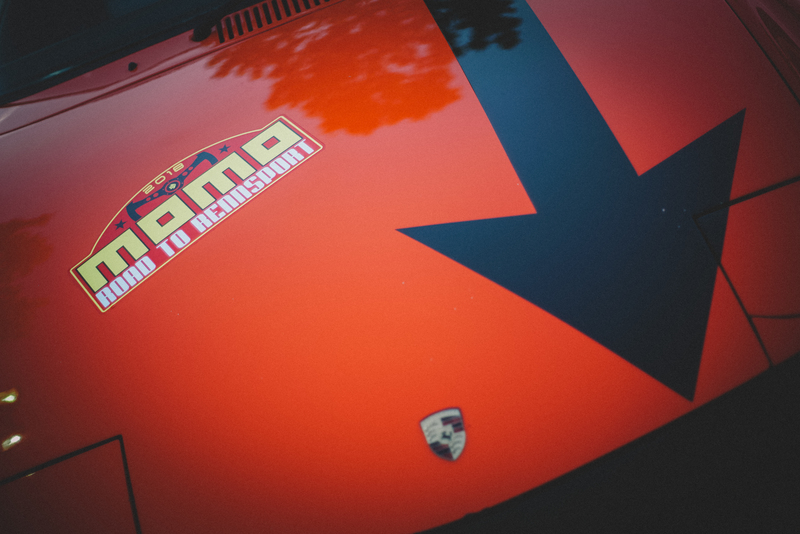 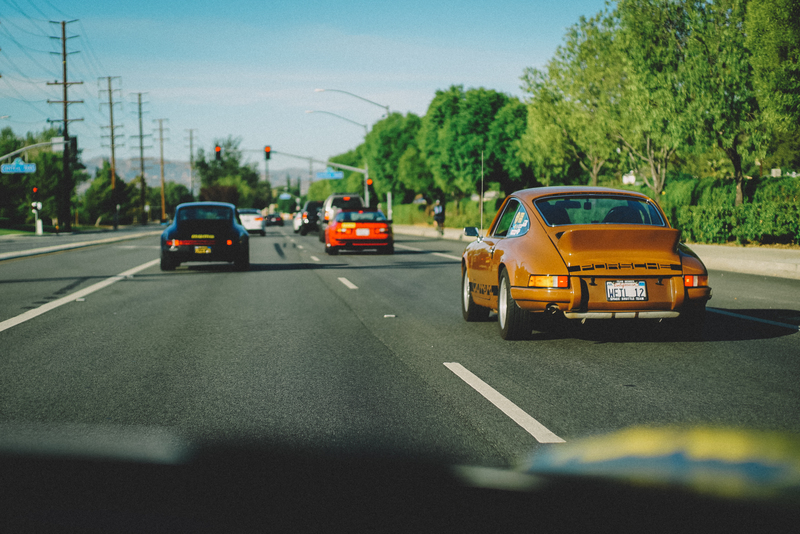 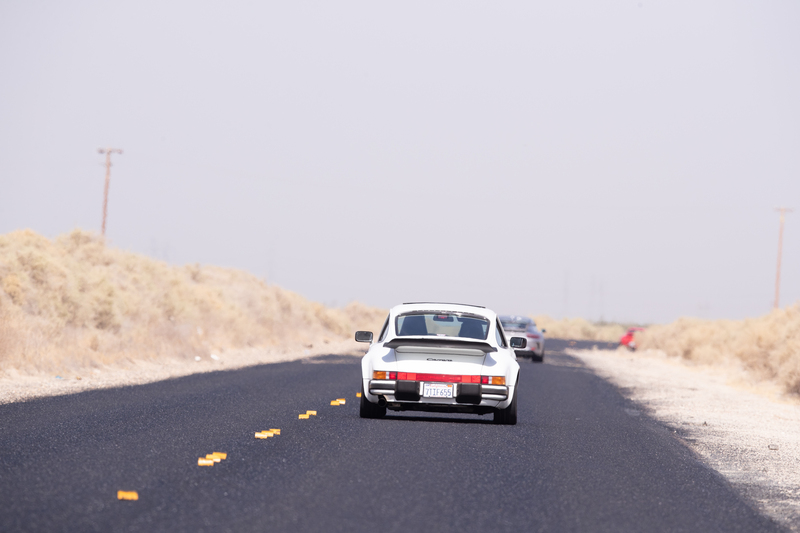 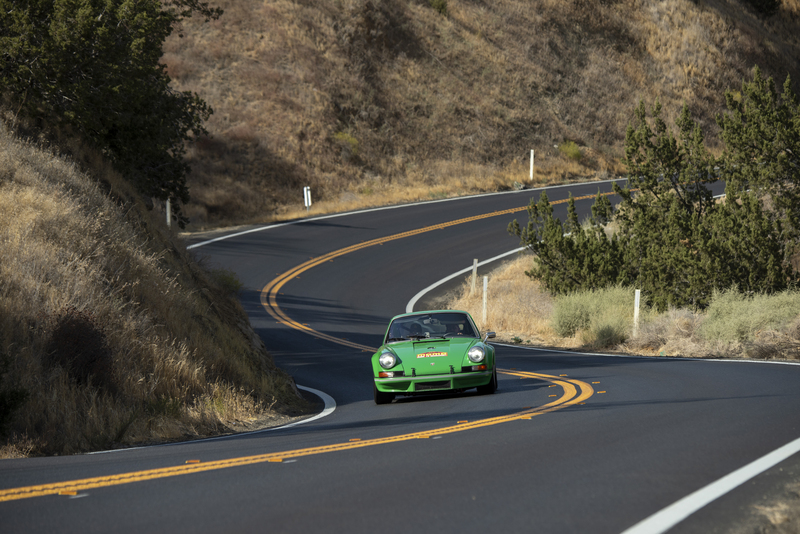 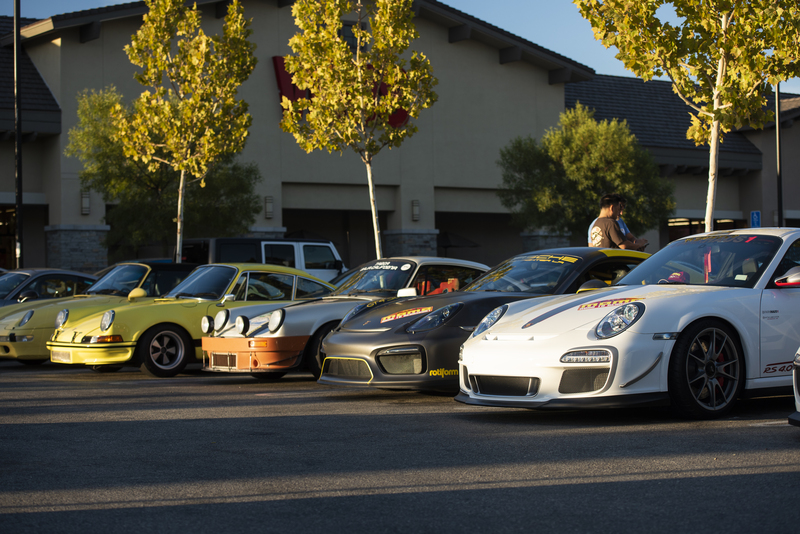 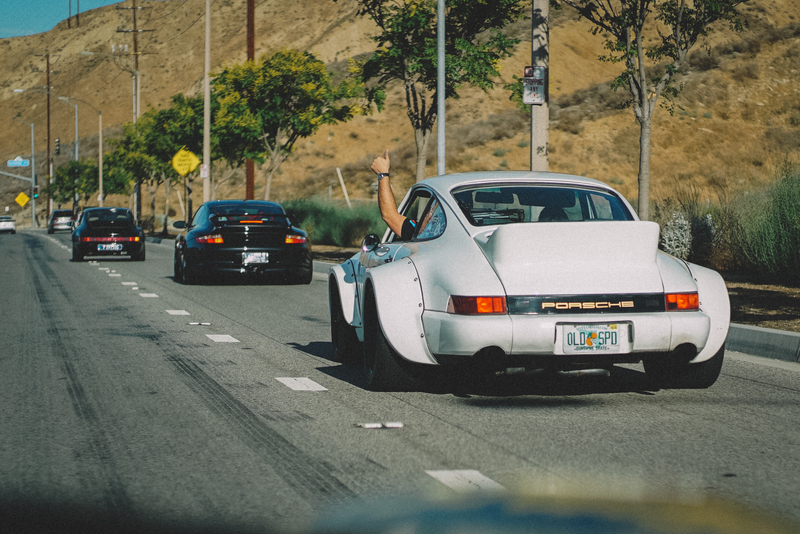 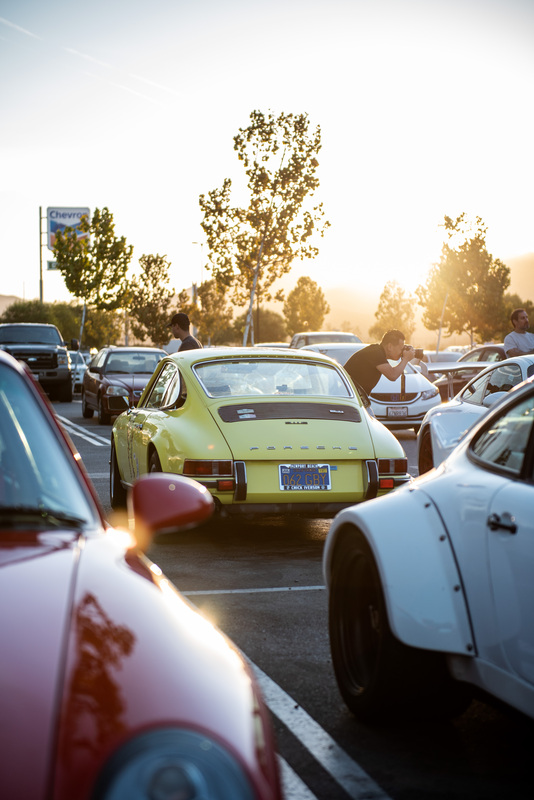 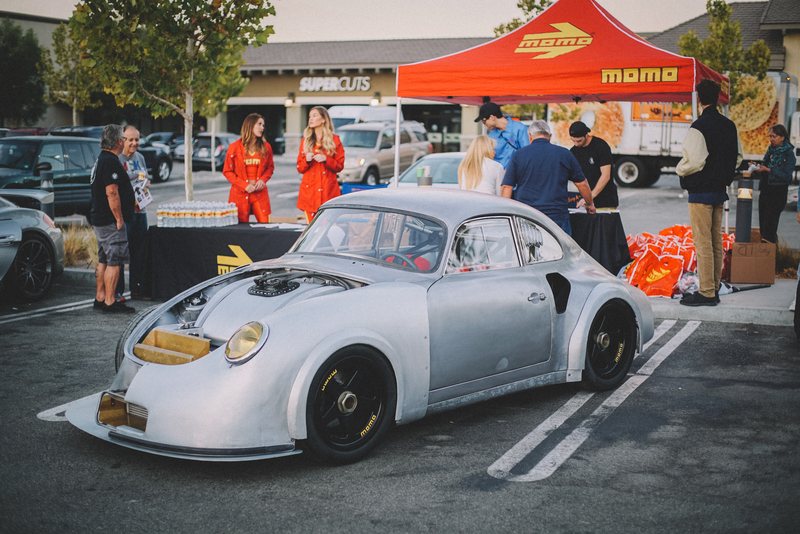 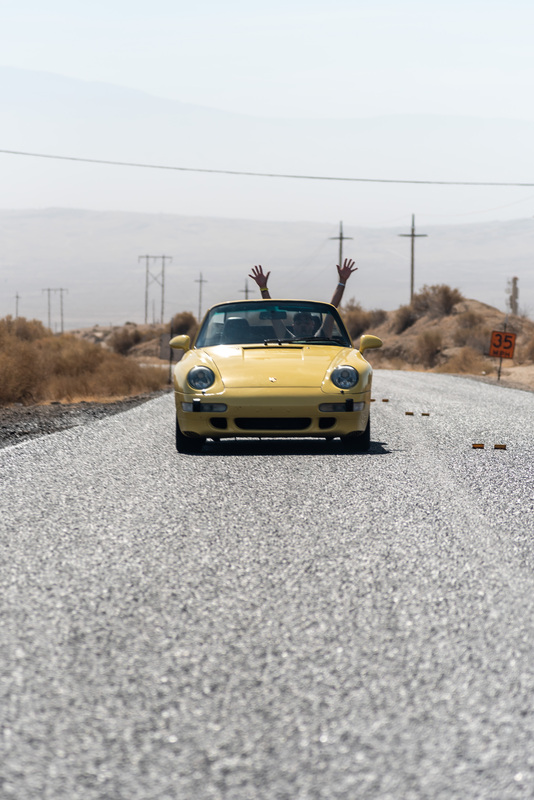 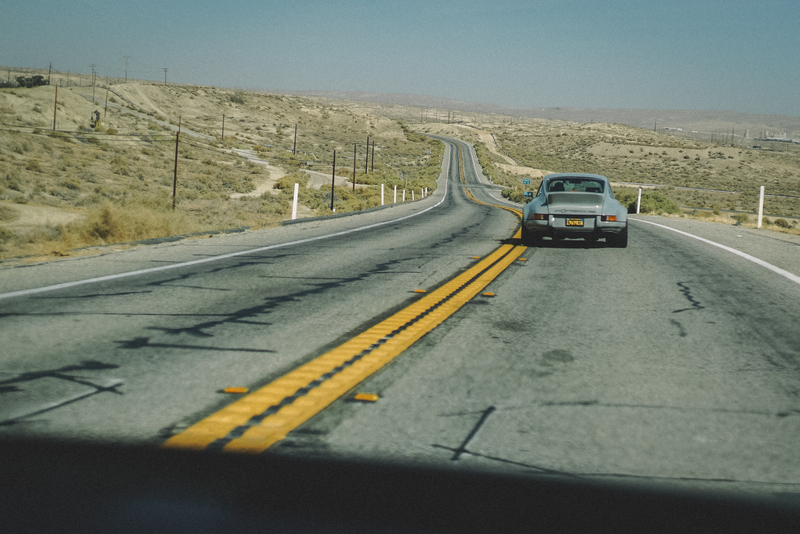 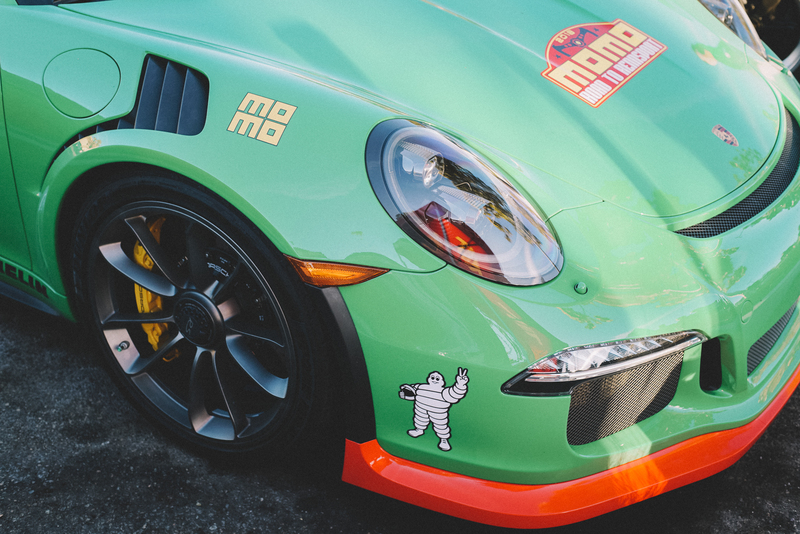 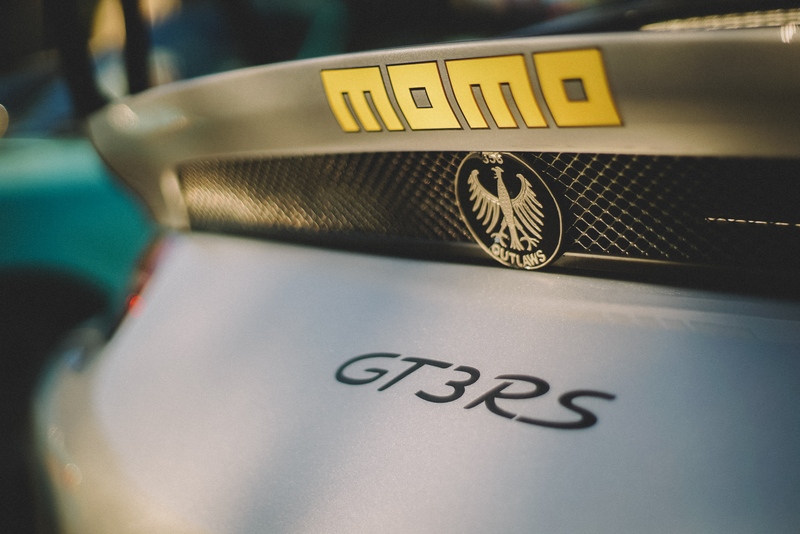 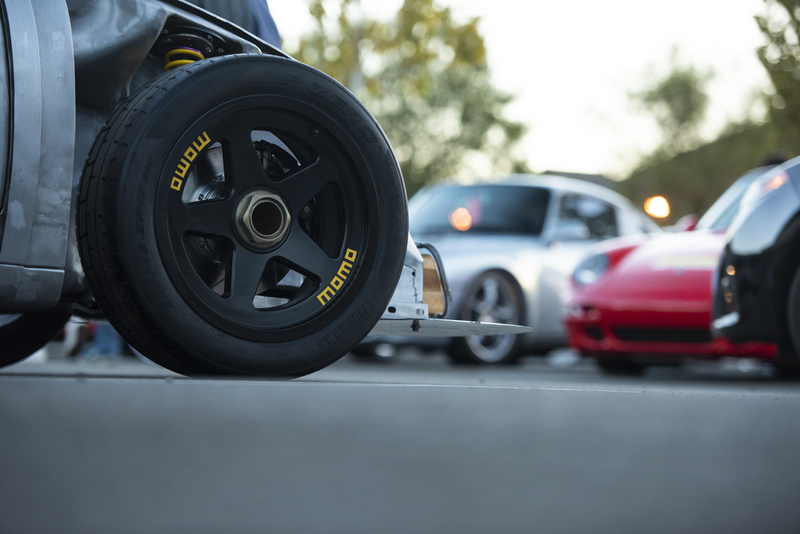 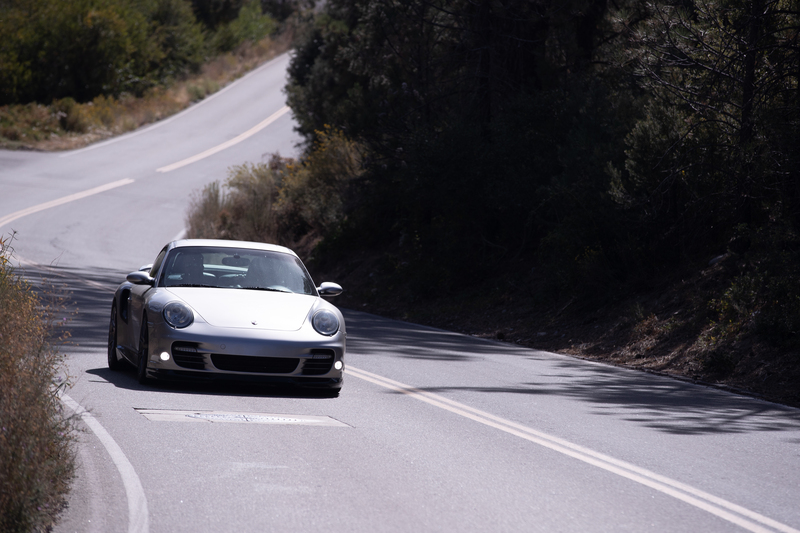 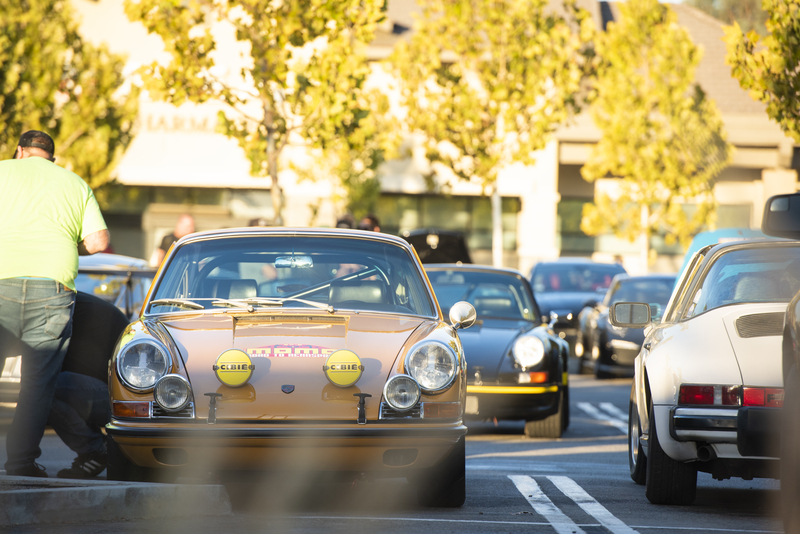 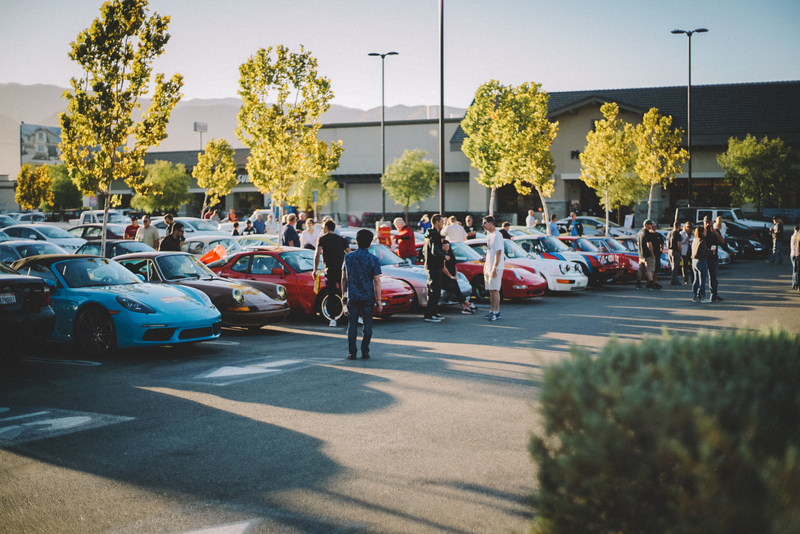 MOMO recently celebrated its second Road to Rennsport. 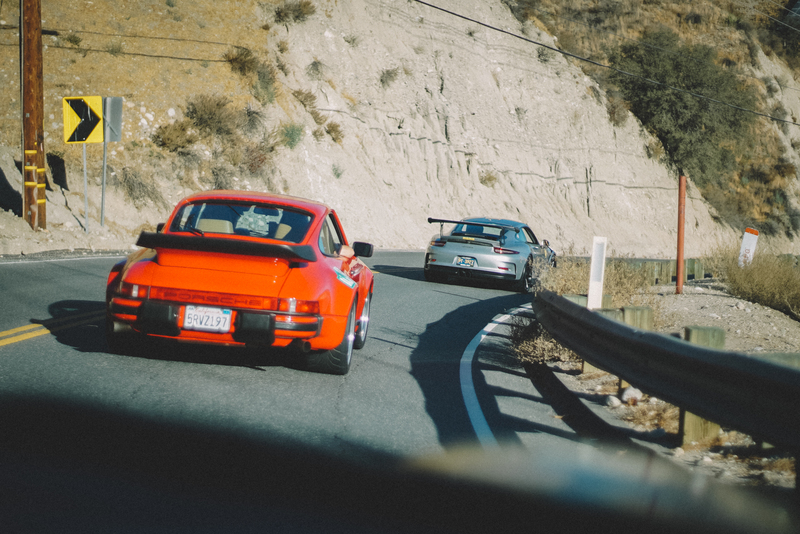 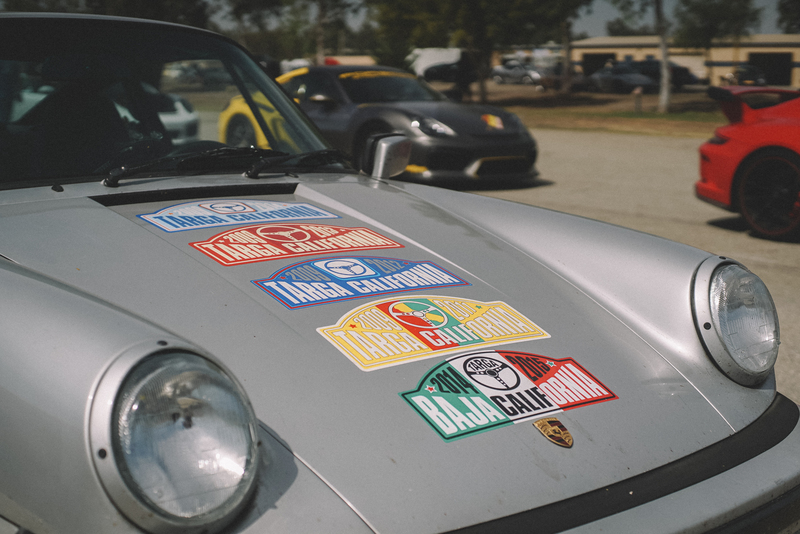 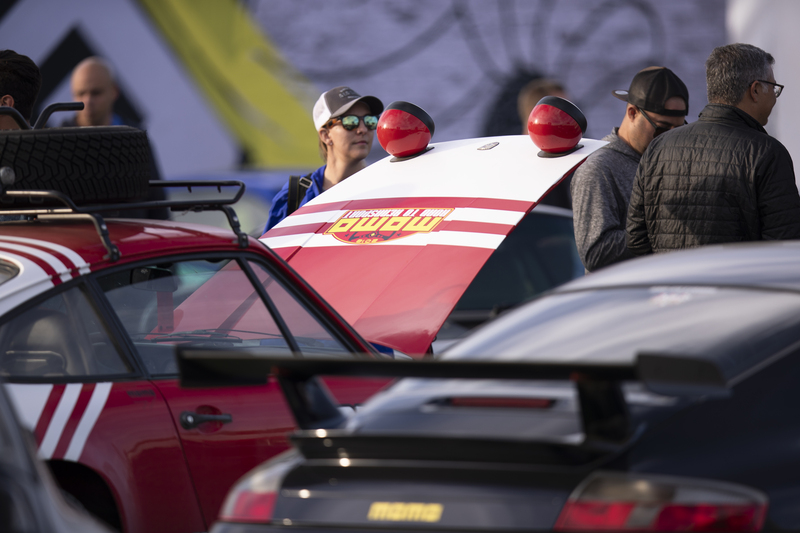 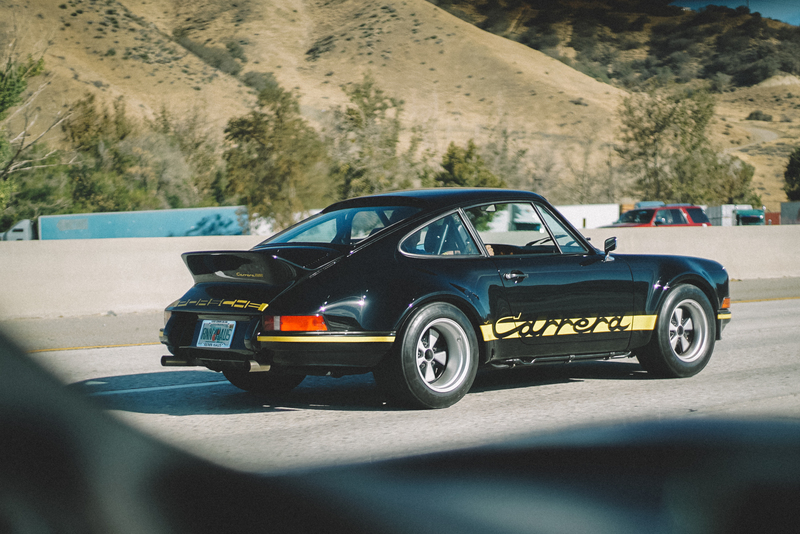 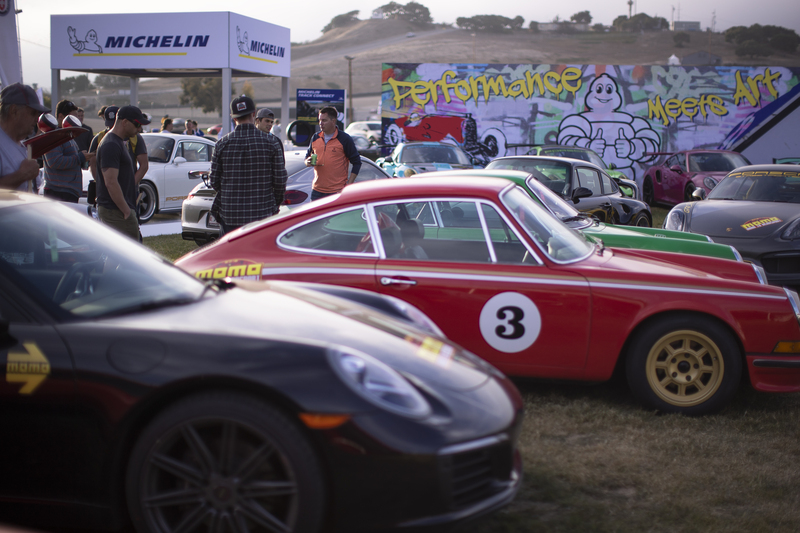 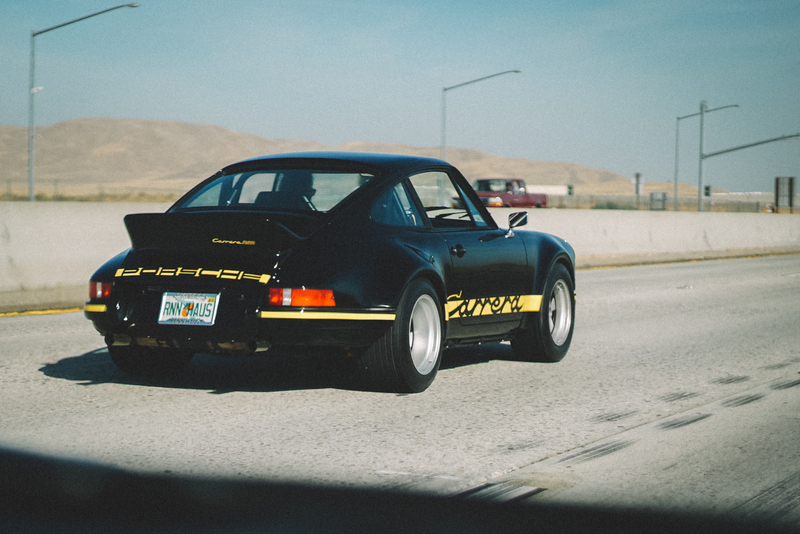 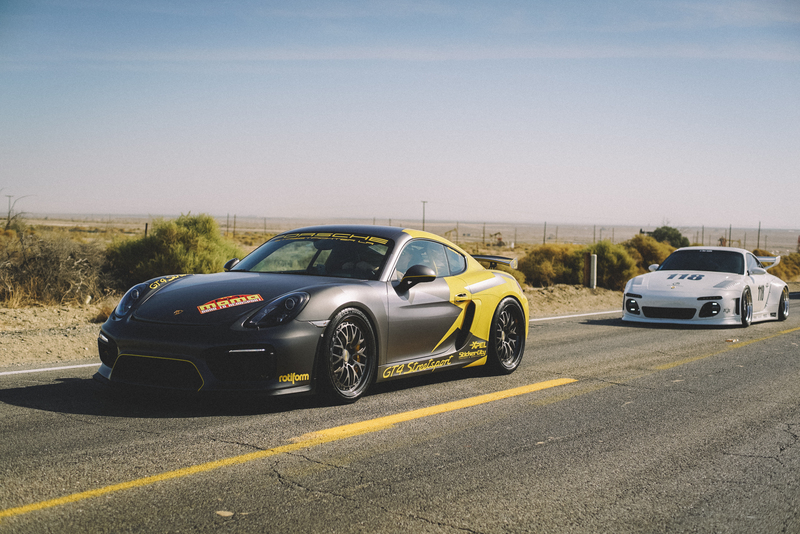 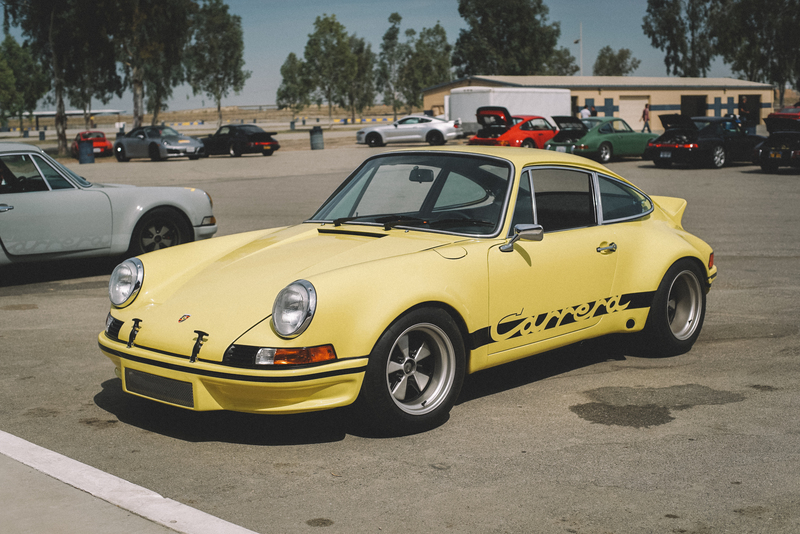 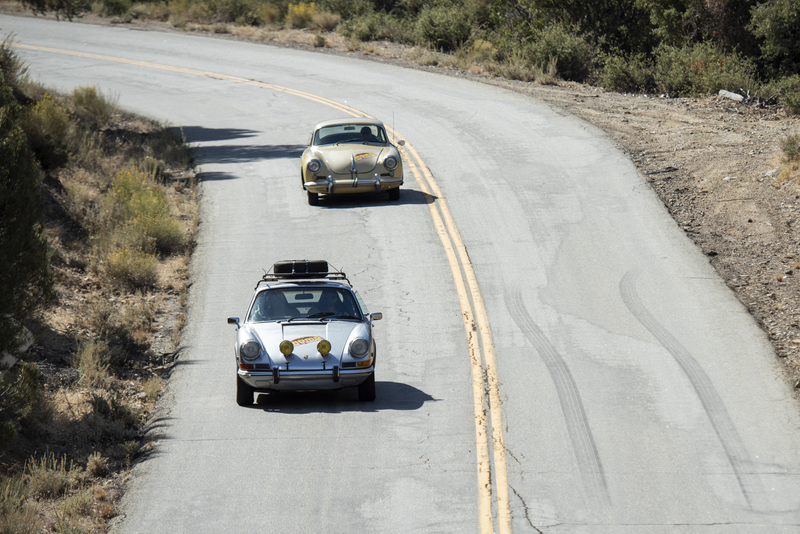 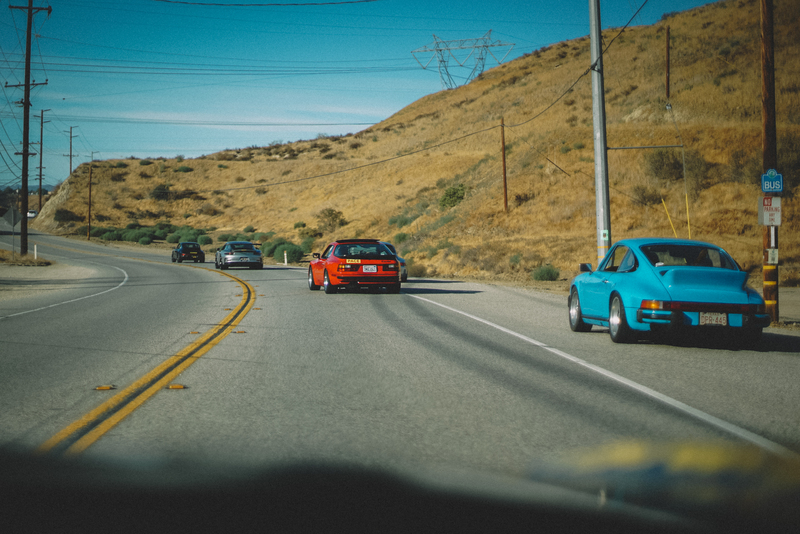 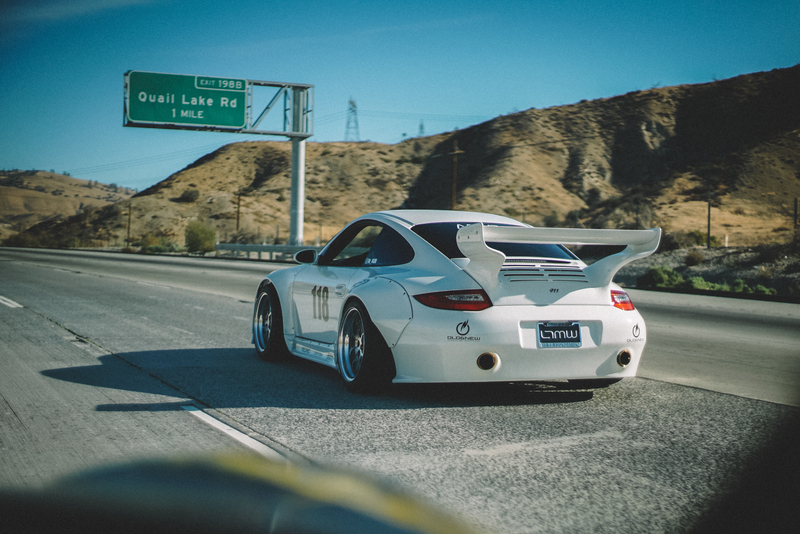 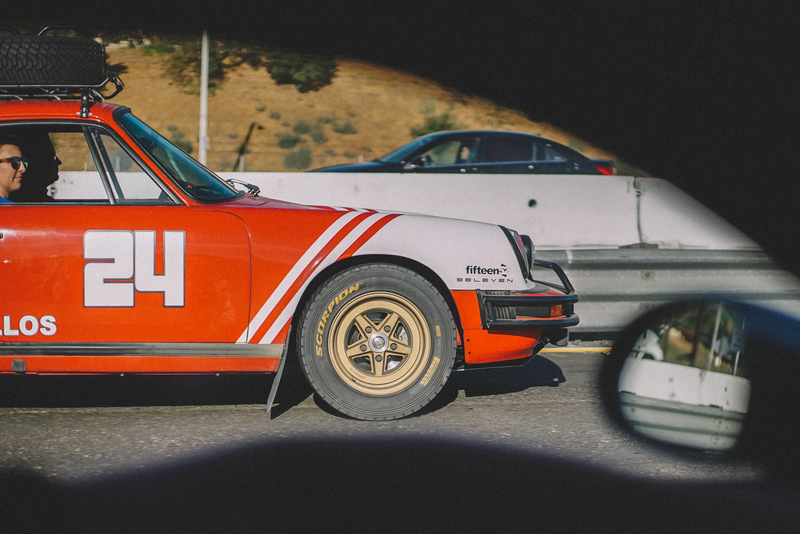 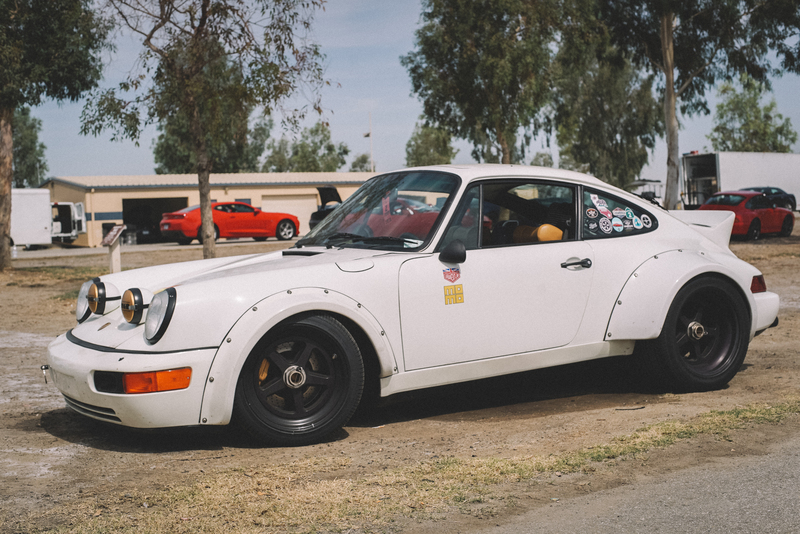 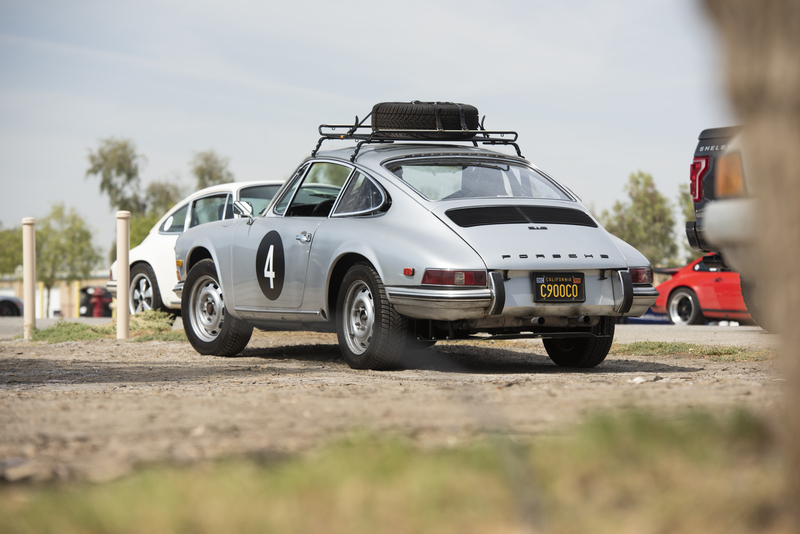 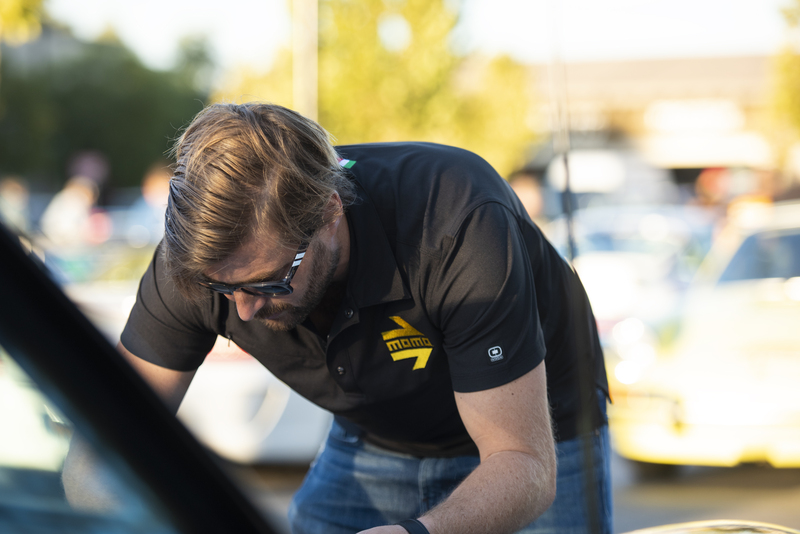 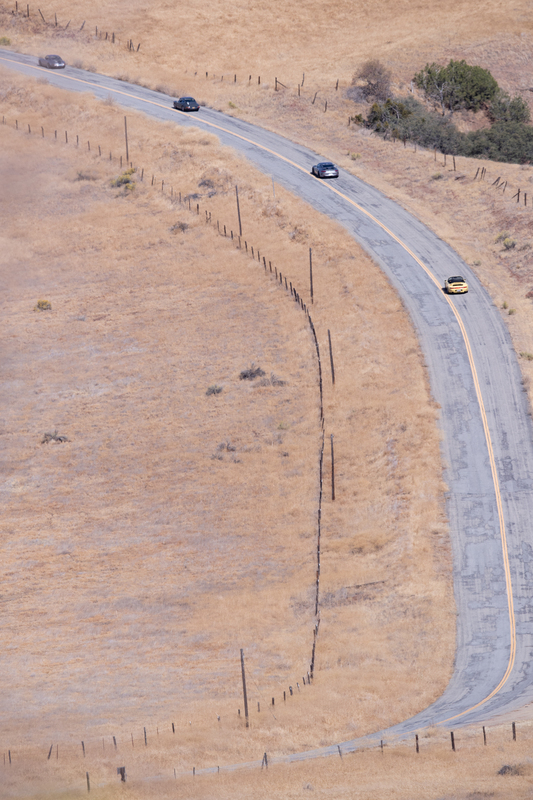 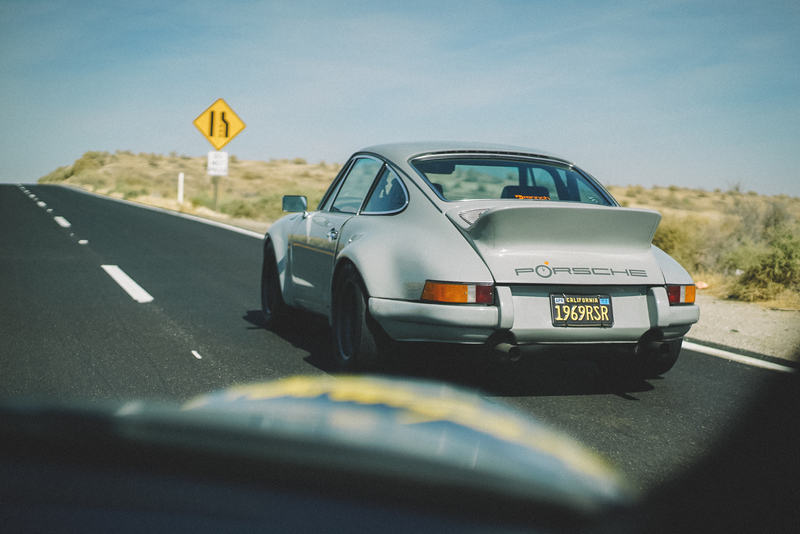 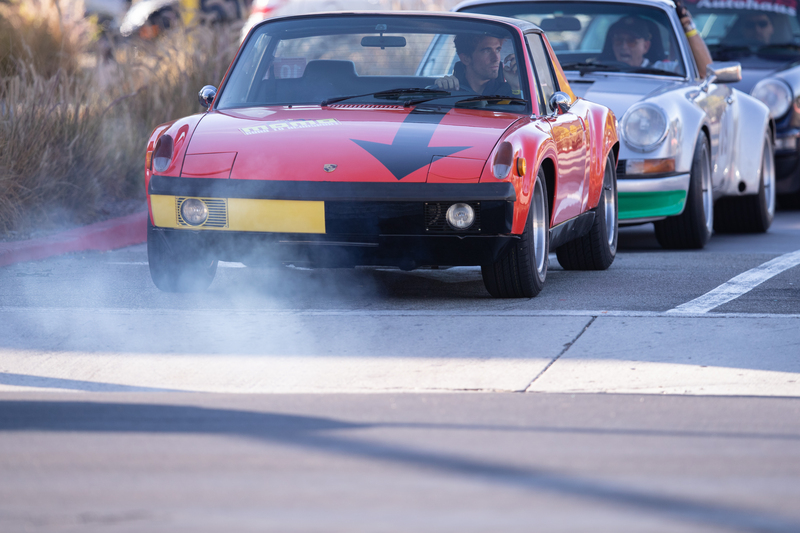 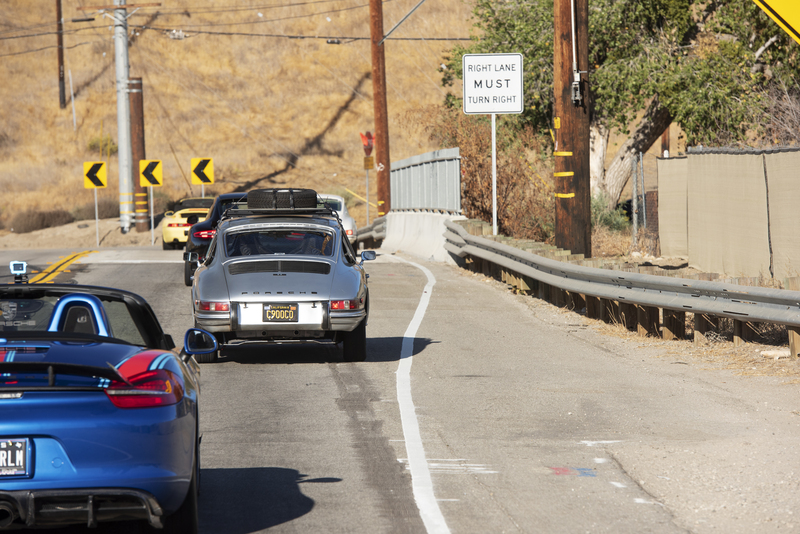 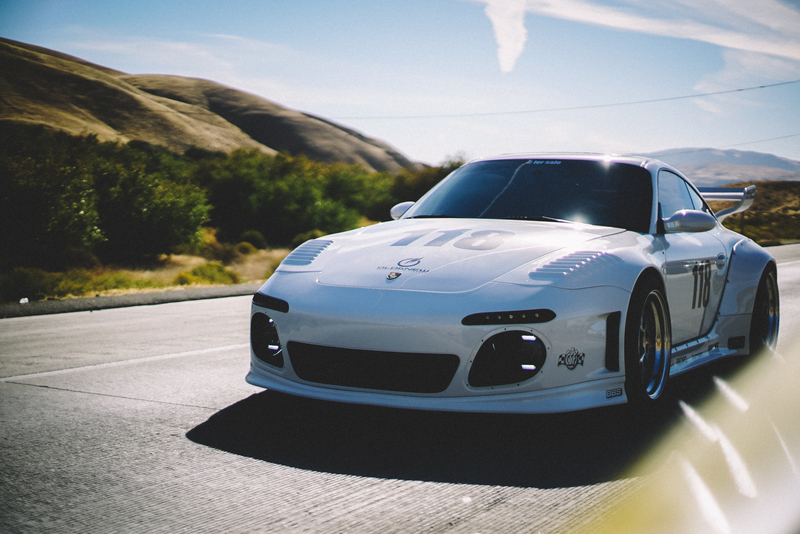 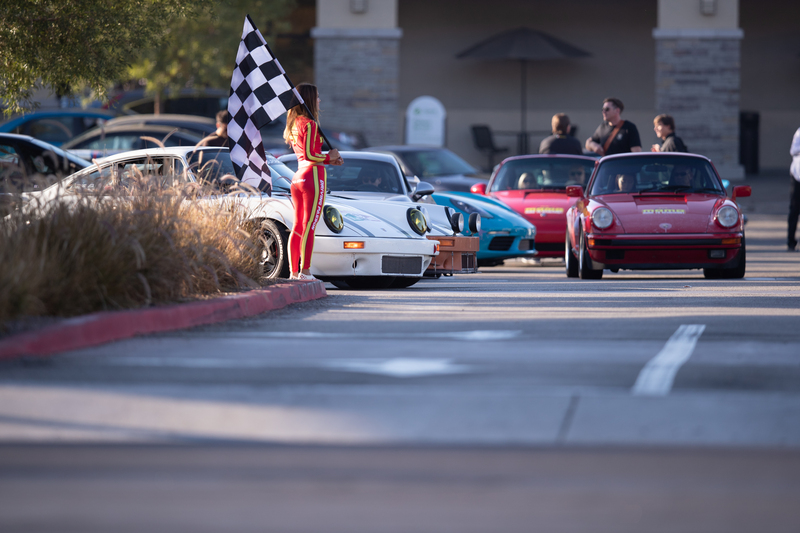 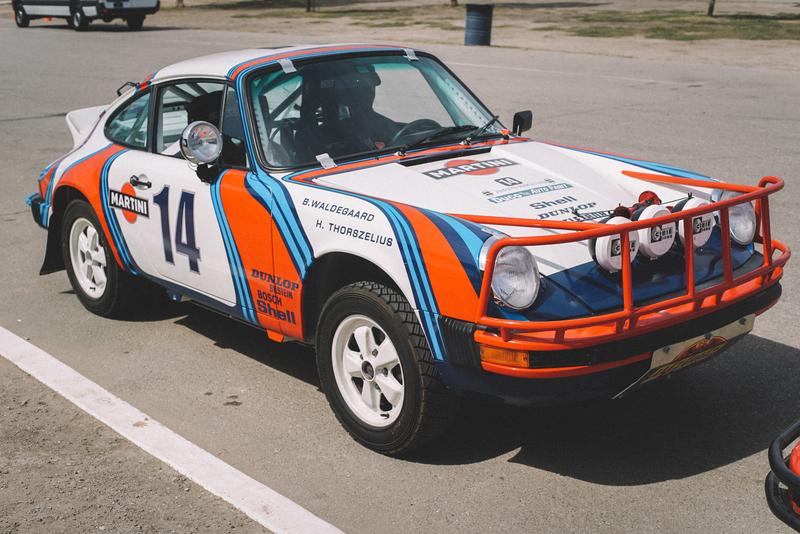 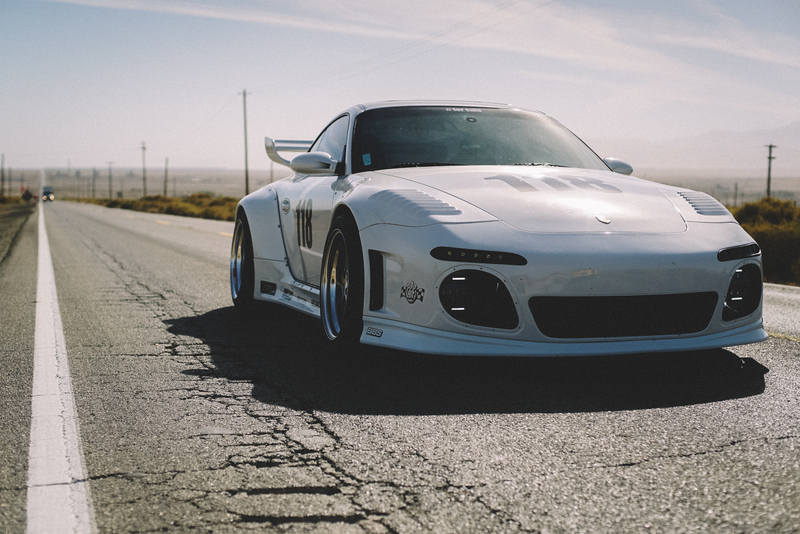 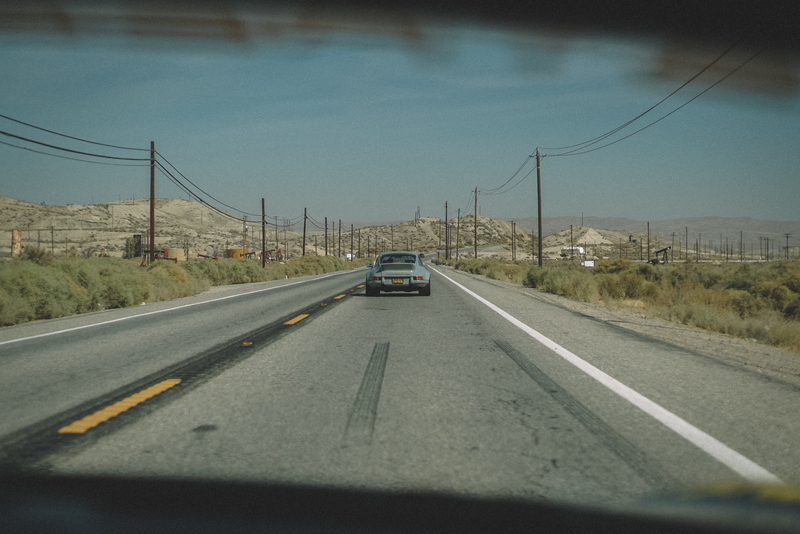 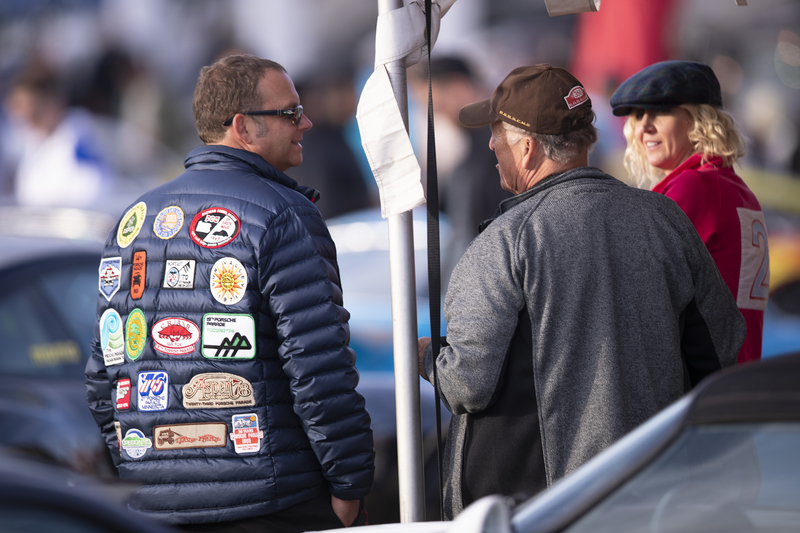 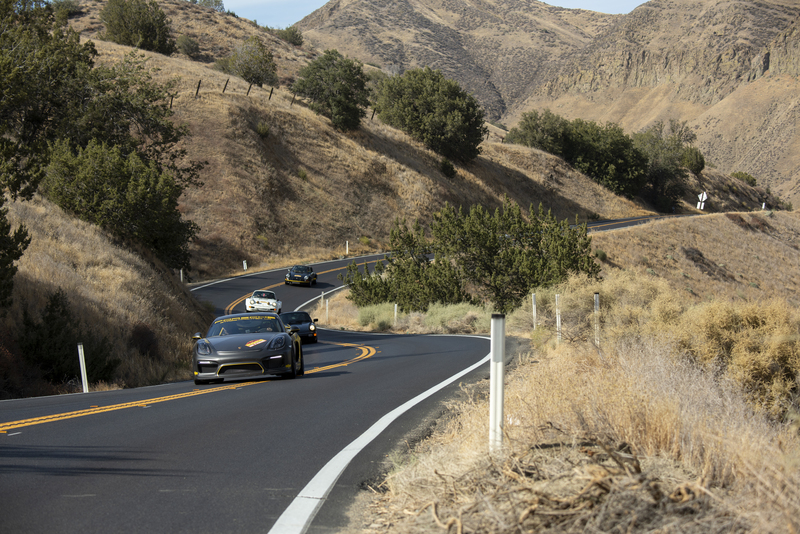 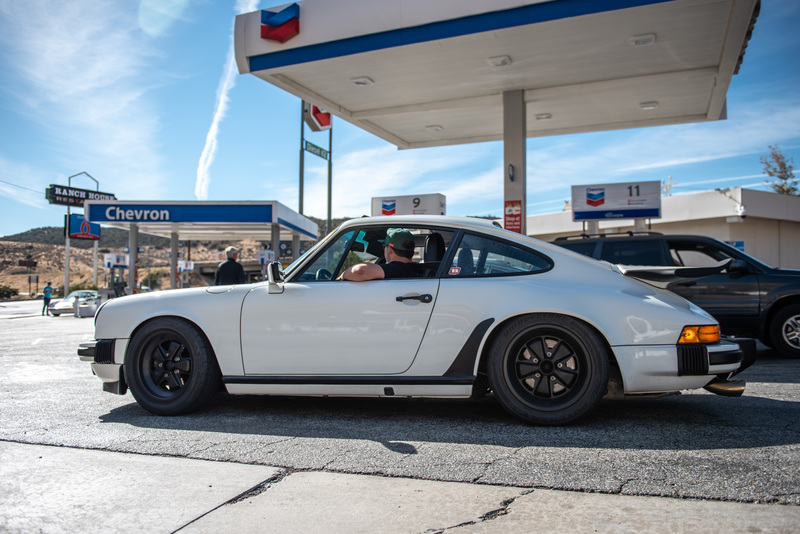 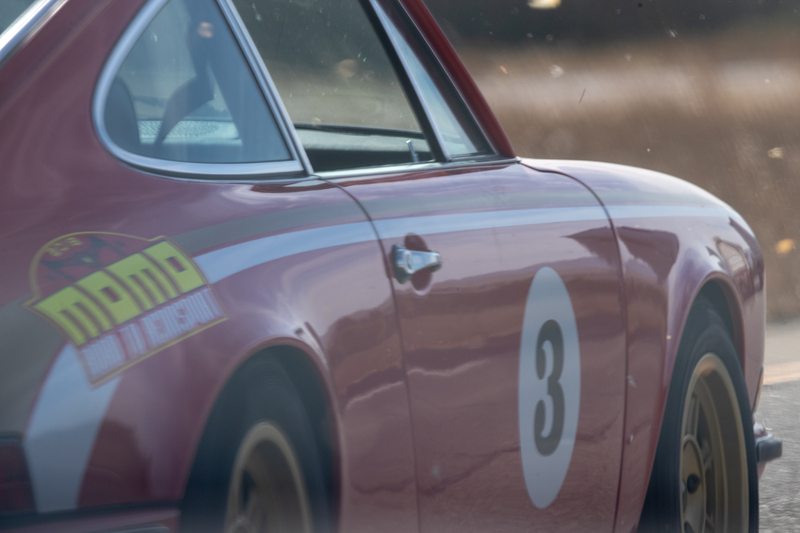 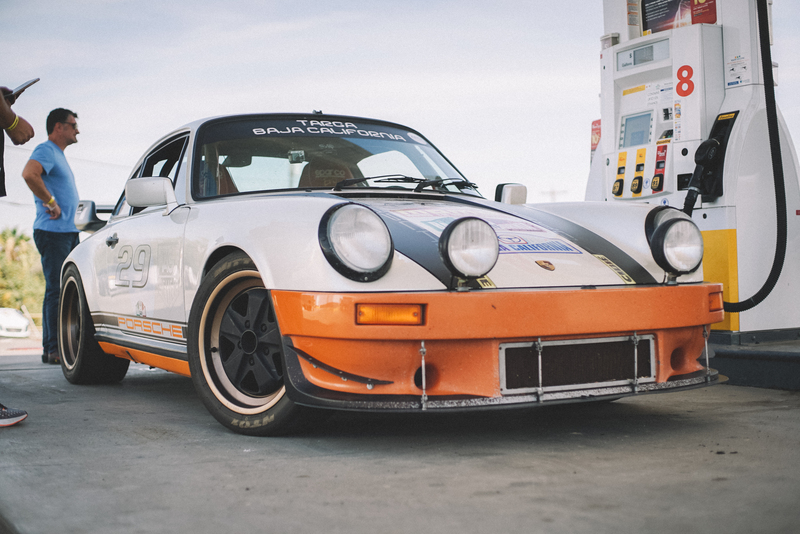 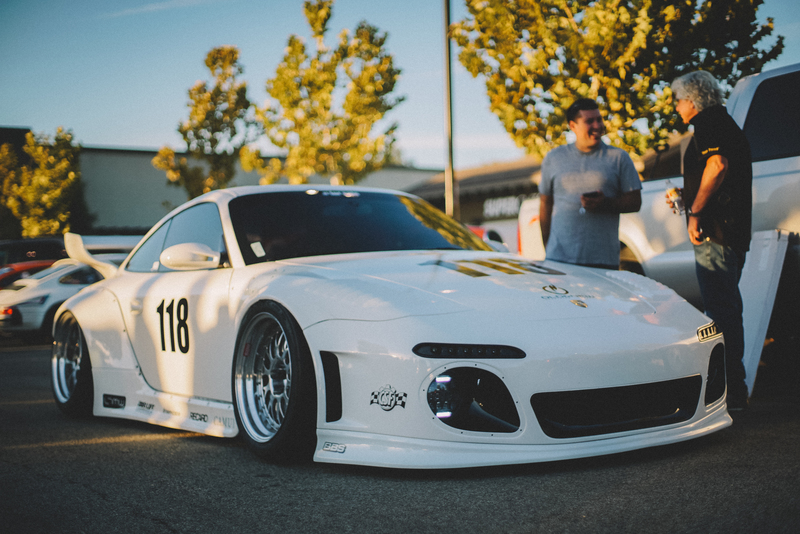 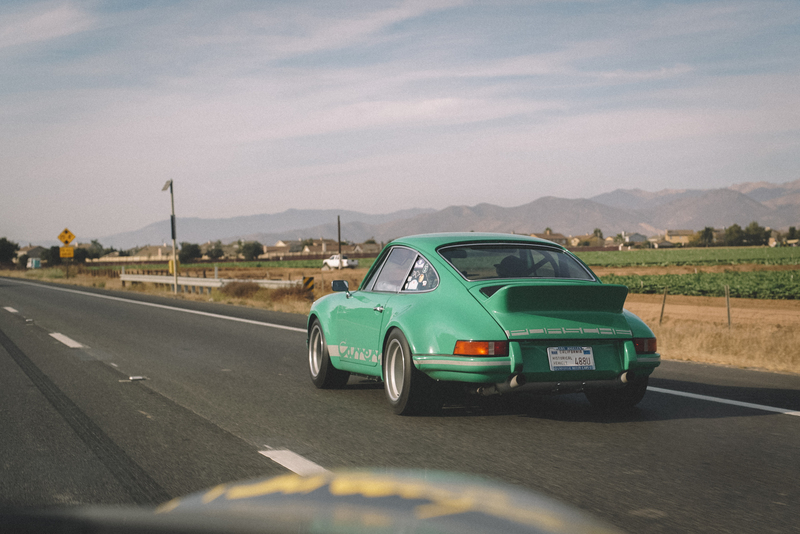 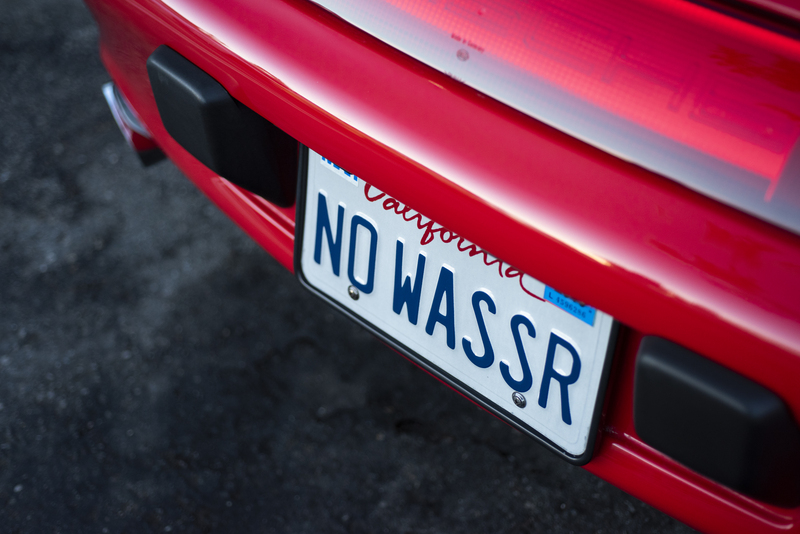 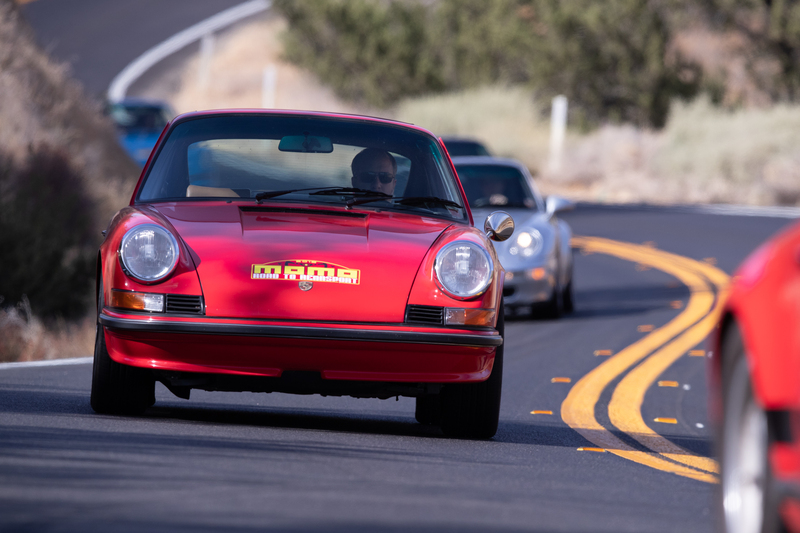 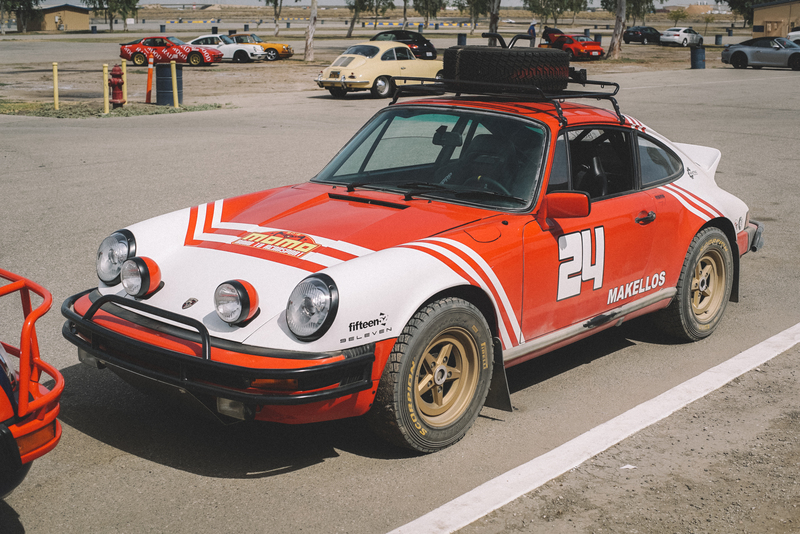 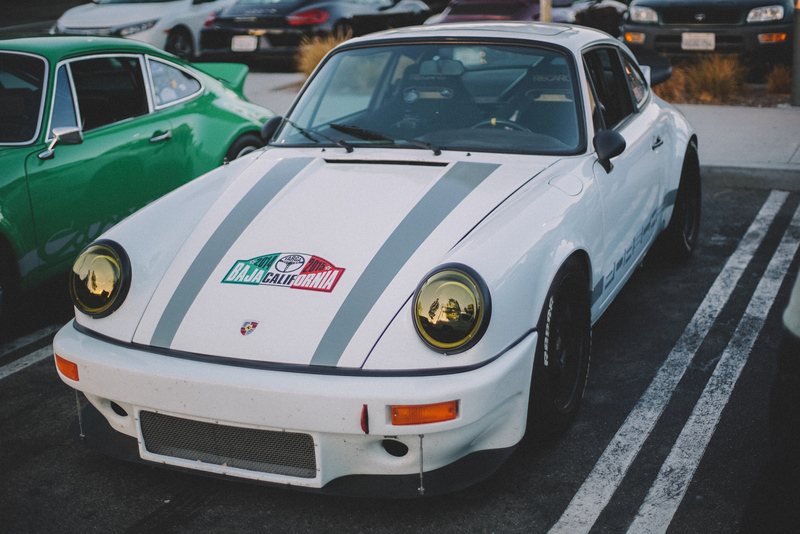 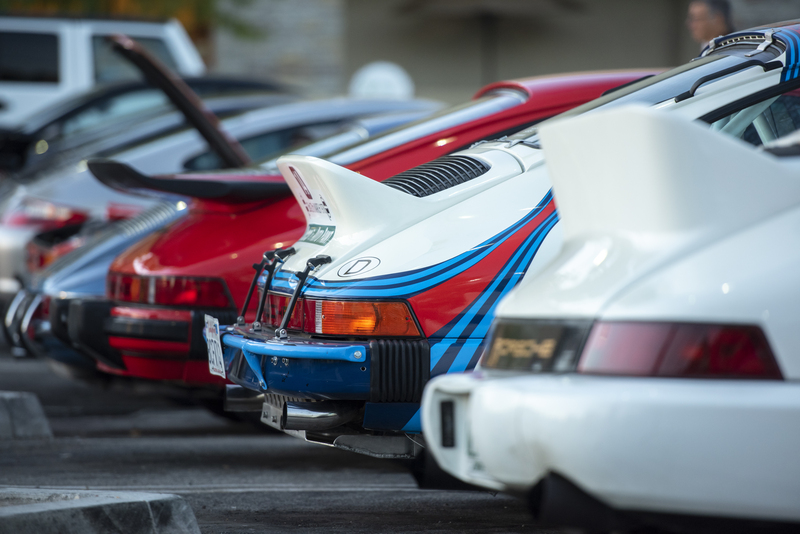 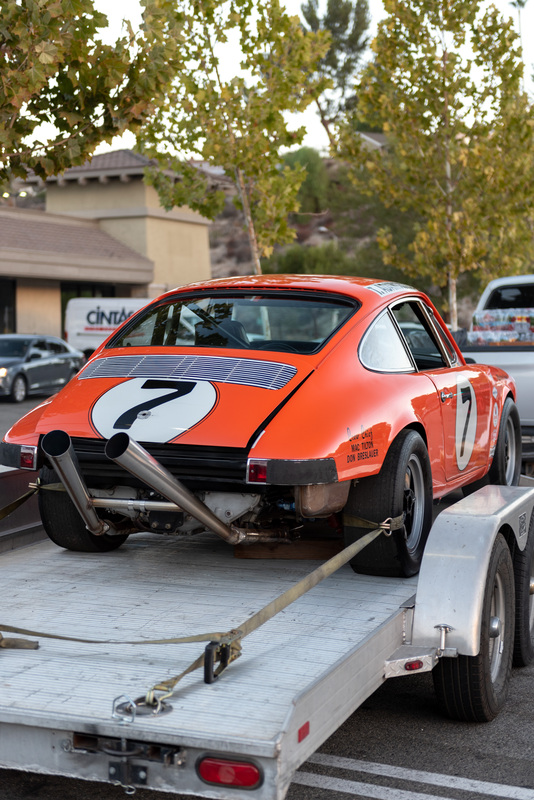 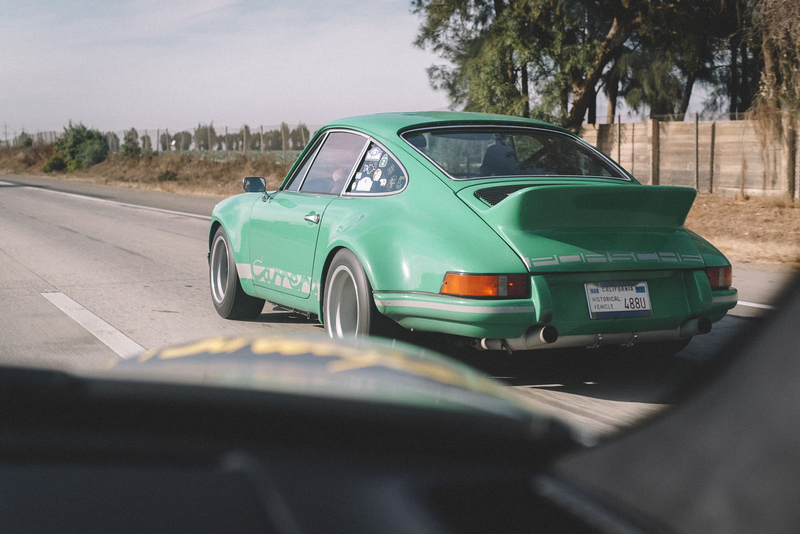 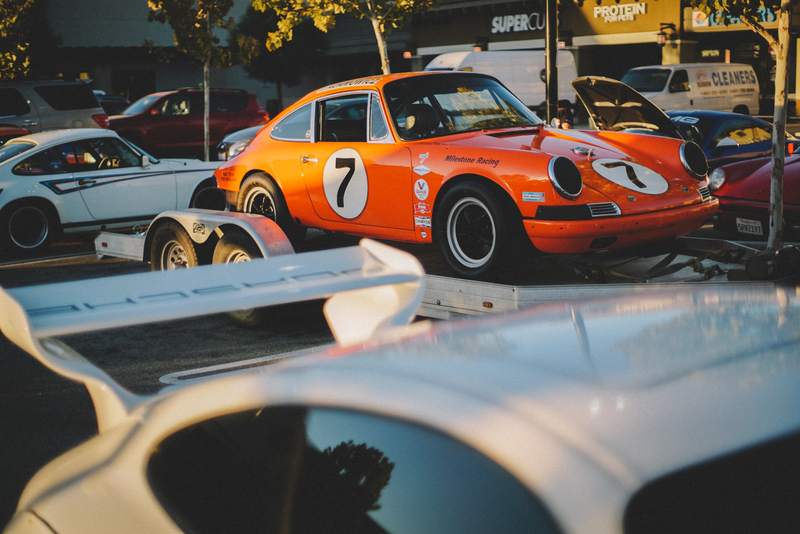 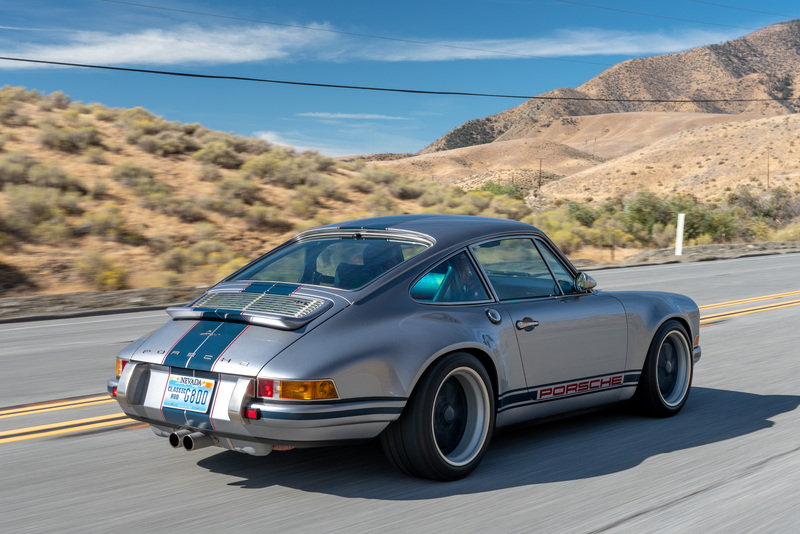 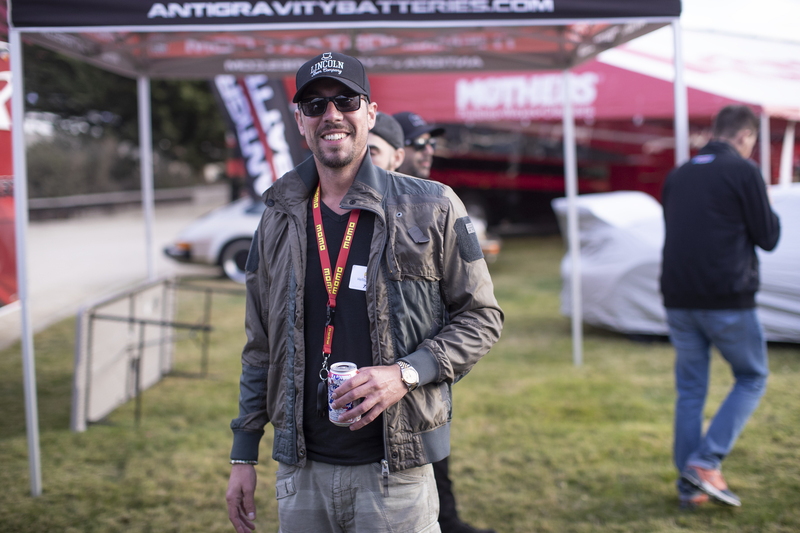 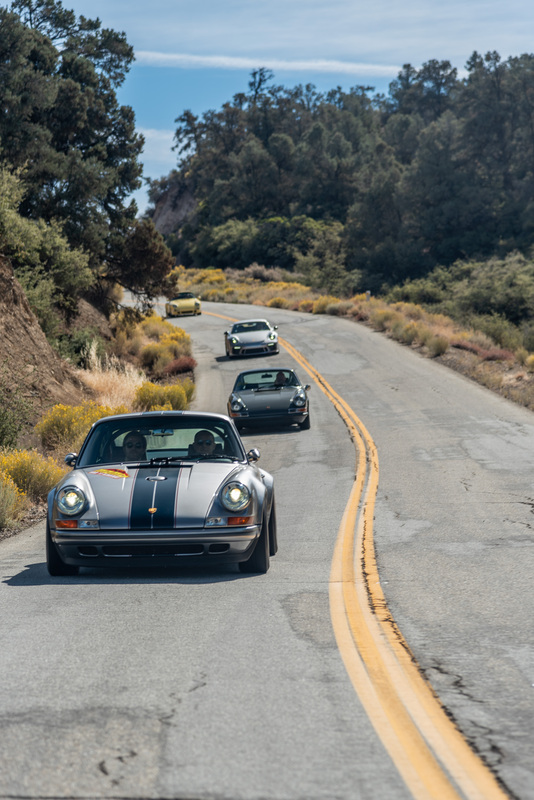 The road-rally drew together close to 100 Porsches in a rally which started in Los Angeles and made its way to Rennsport Reunion VI at WeatherTech Raceway Laguna Seca. 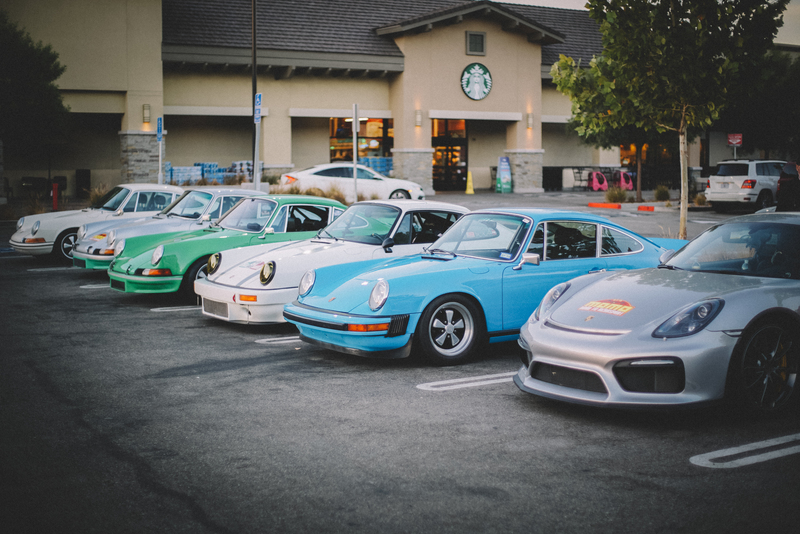 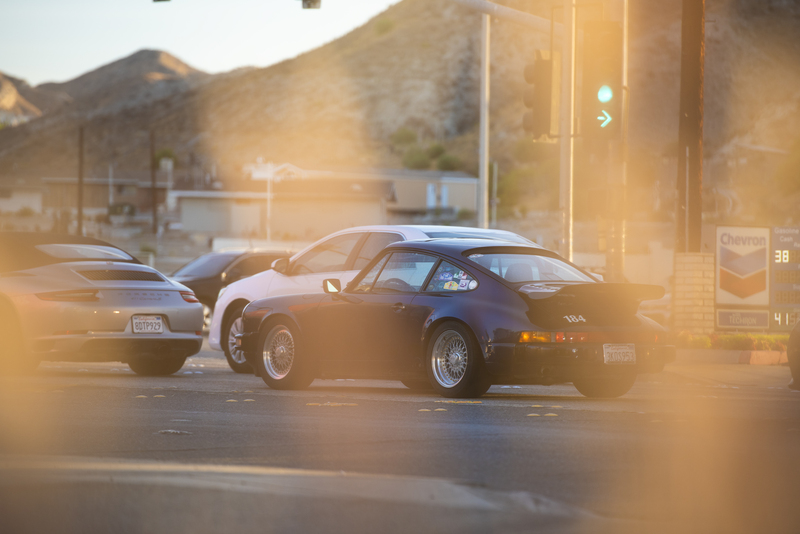 The drivers gathered in Sand Canyon at the crack of dawn and had the opportunity to admire the assembled Porsches over a cup of coffee. 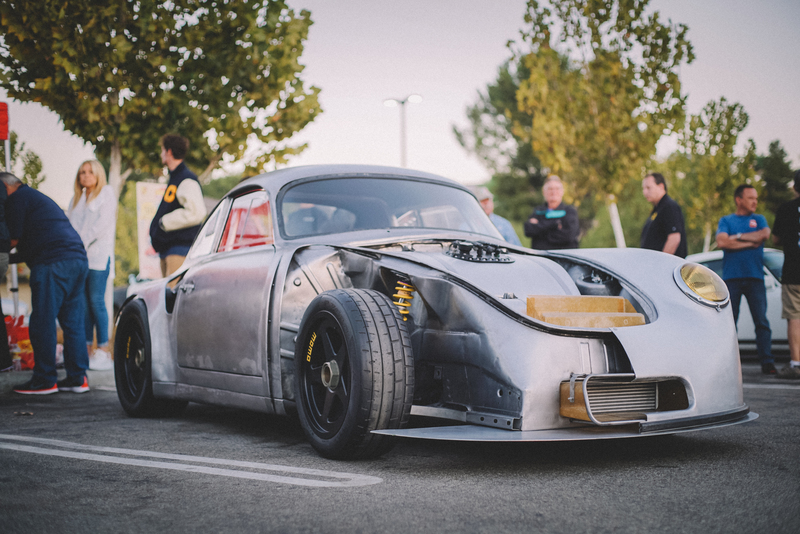 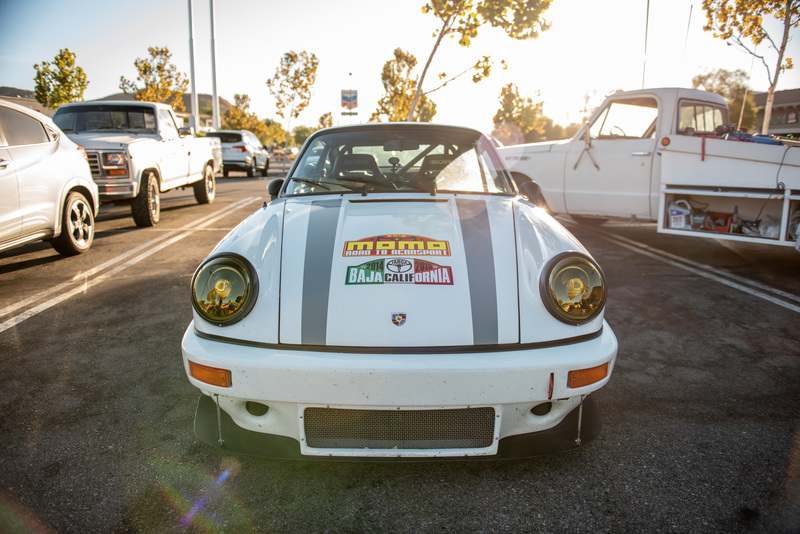 It was also their first opportunity to see the MOMO 356 RSR Outlaw by Emory Motorsports. 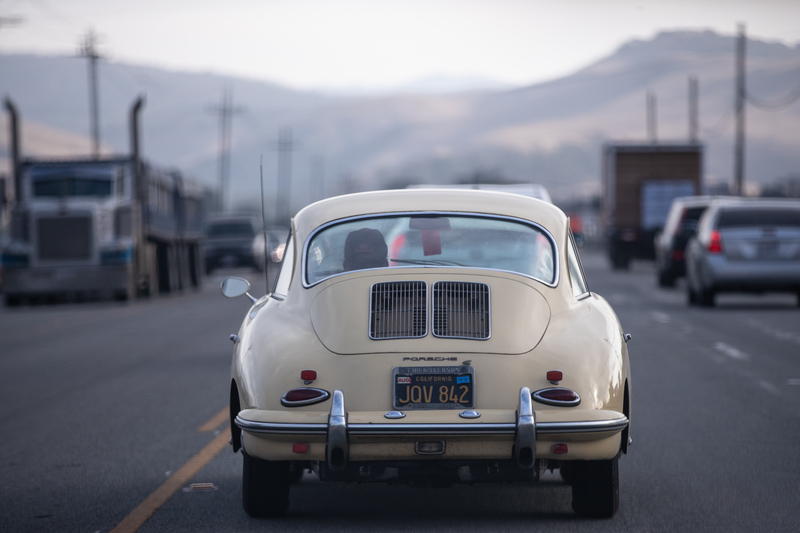 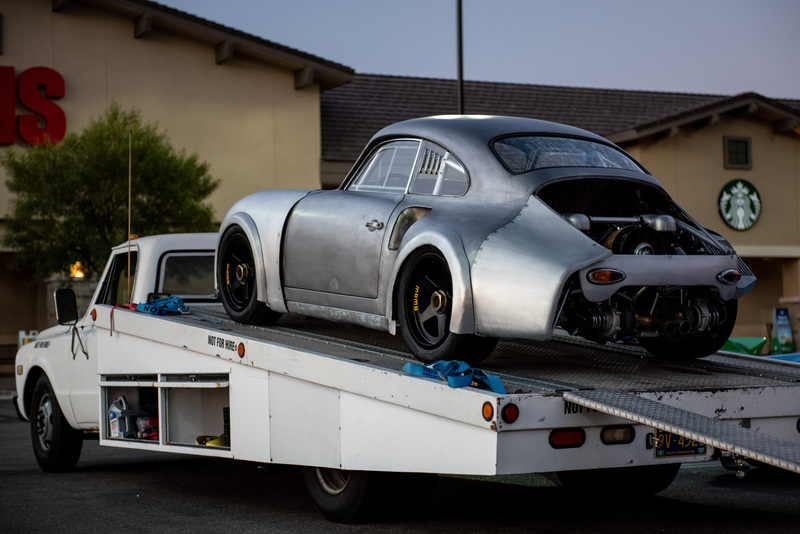 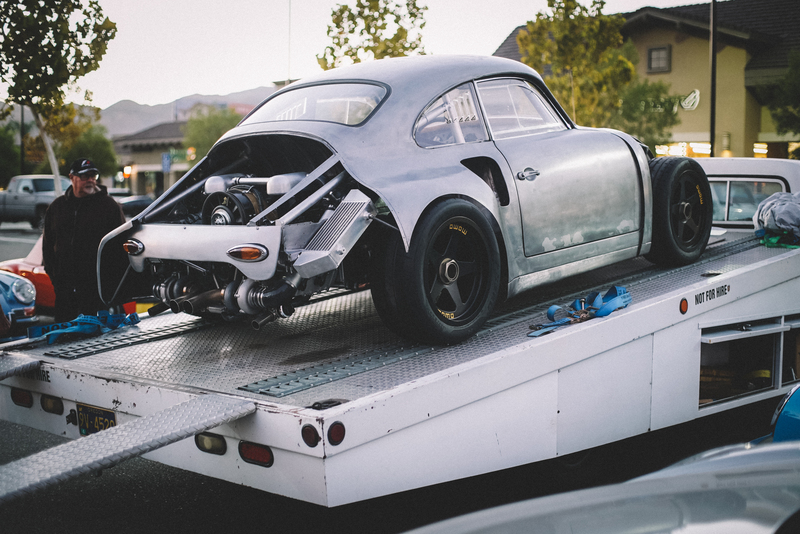 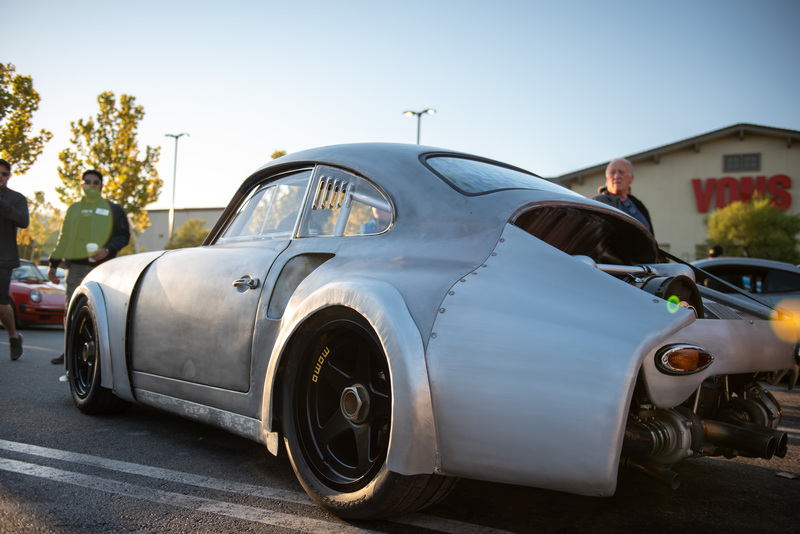 The car is currently under final construction and is already the wildest 356 to emerge from the legendary workshop. 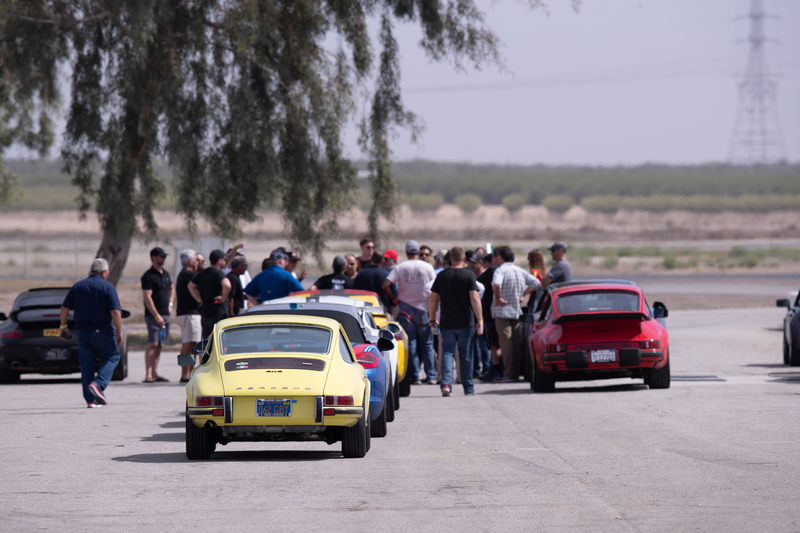 After a driver’s briefing, all the cars headed out on the first 3.5-hour leg of the rally, led by MOMO Chairman Henrique Cisneros as they wound through some amazing roads to checkpoint #1 at Buttonwillow Raceway. 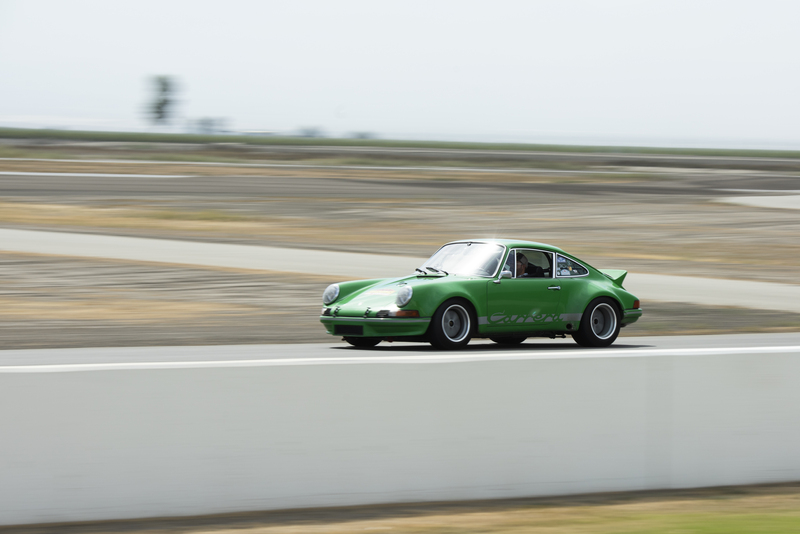 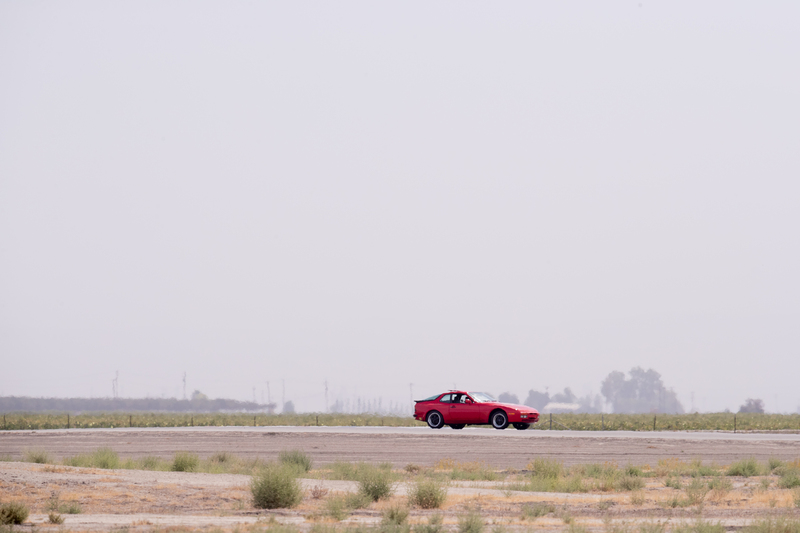 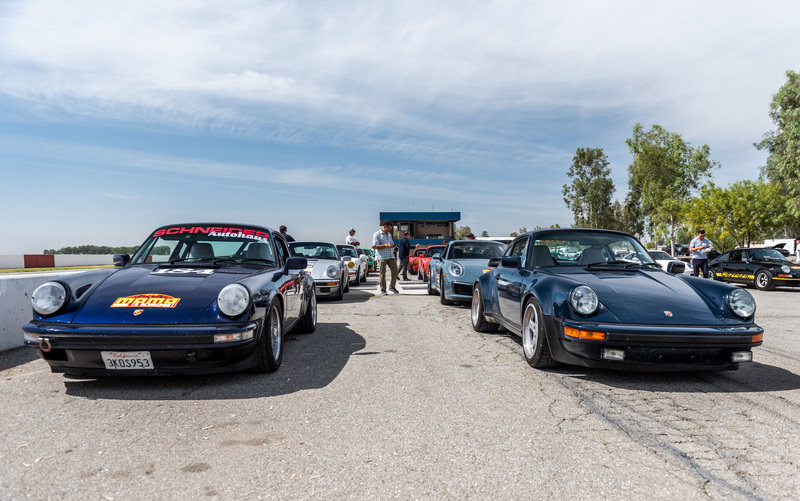 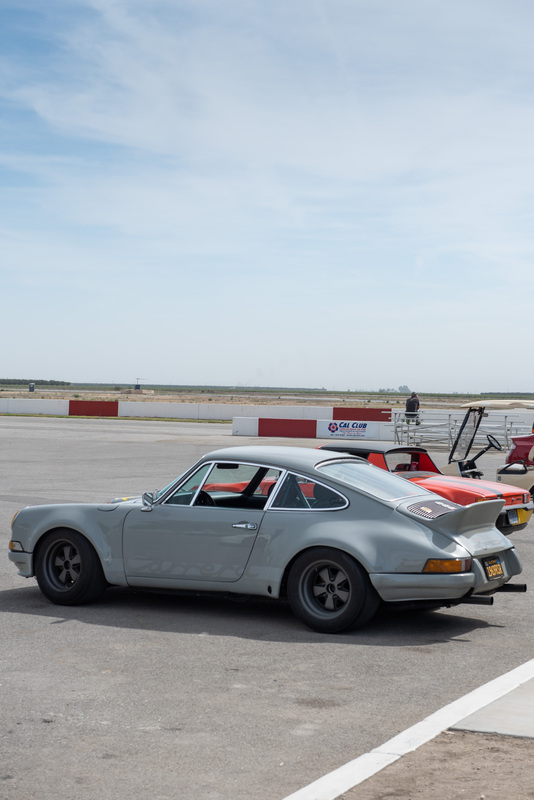 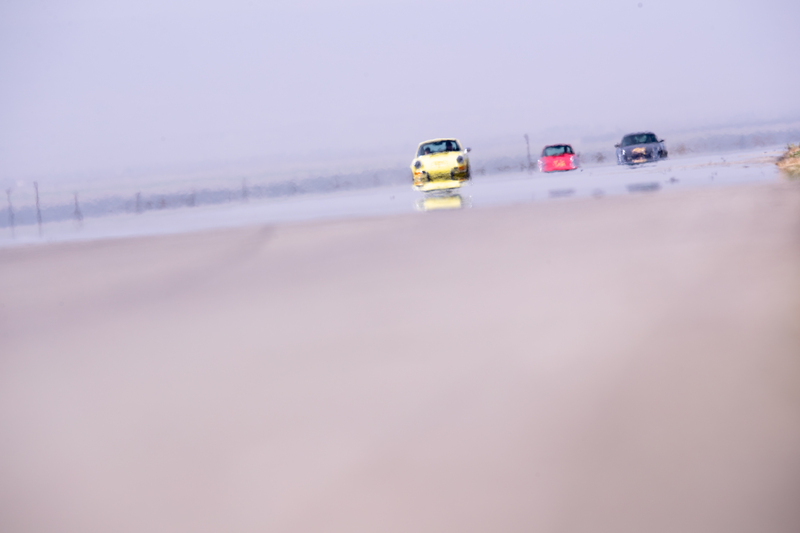 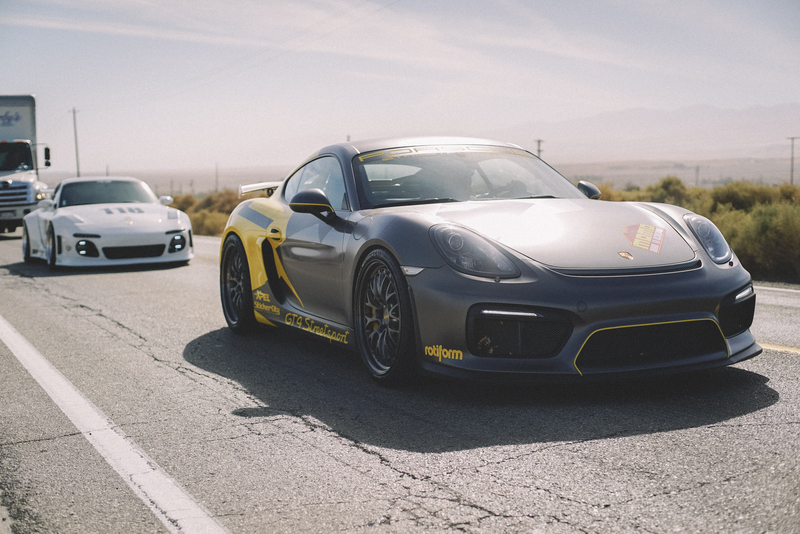 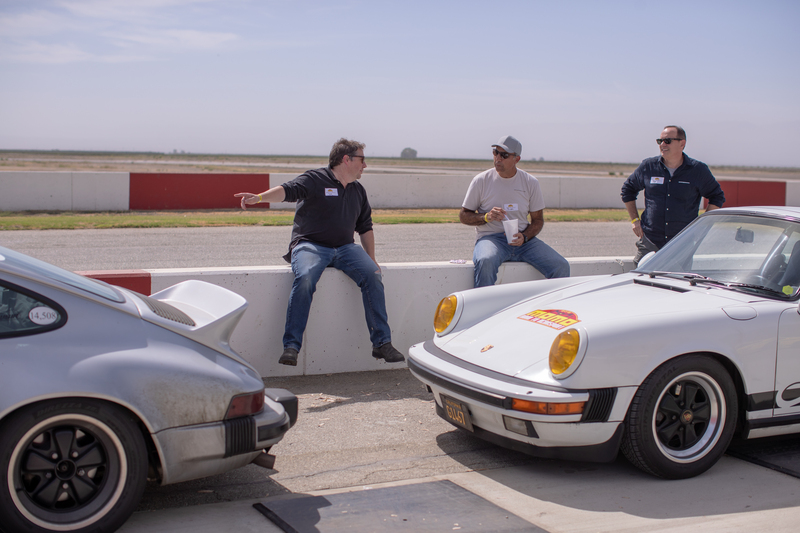 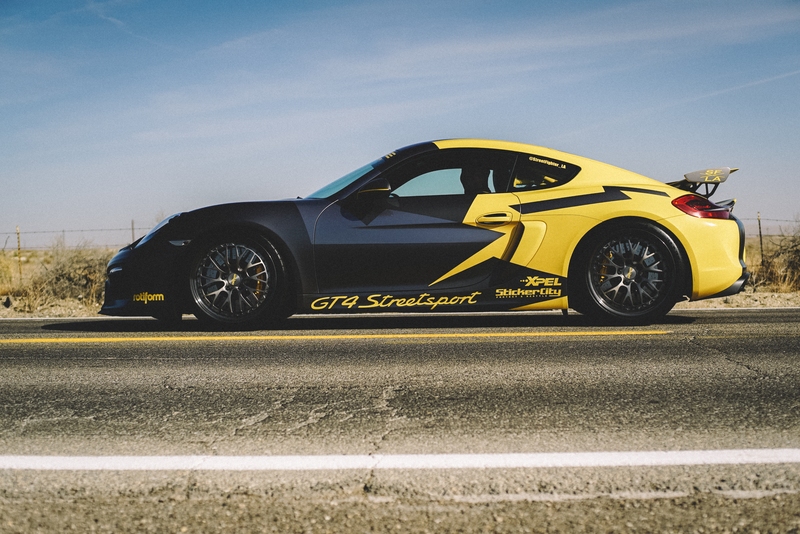 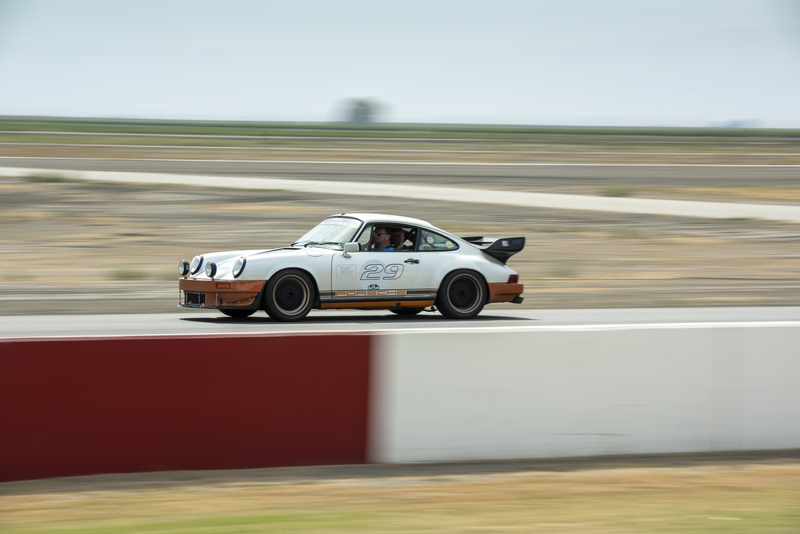 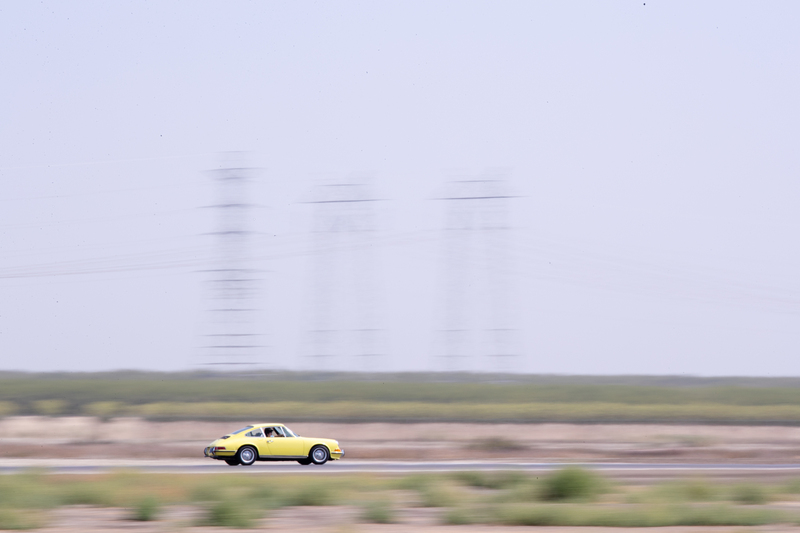 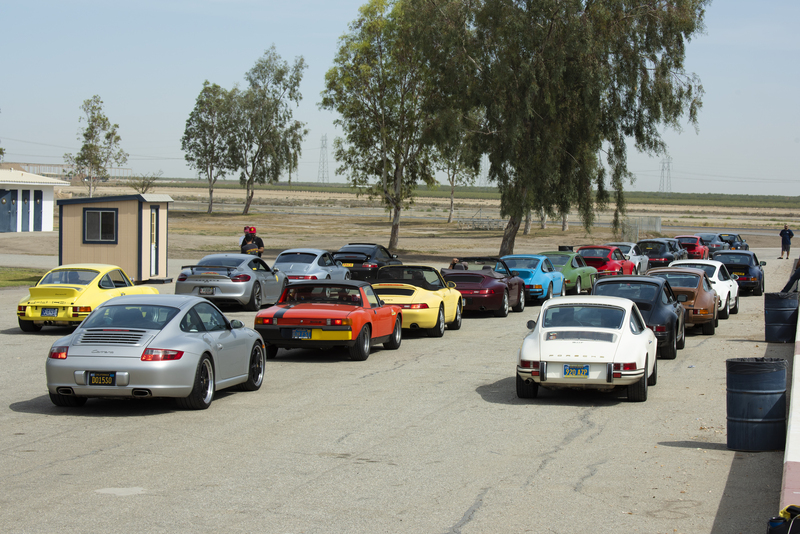 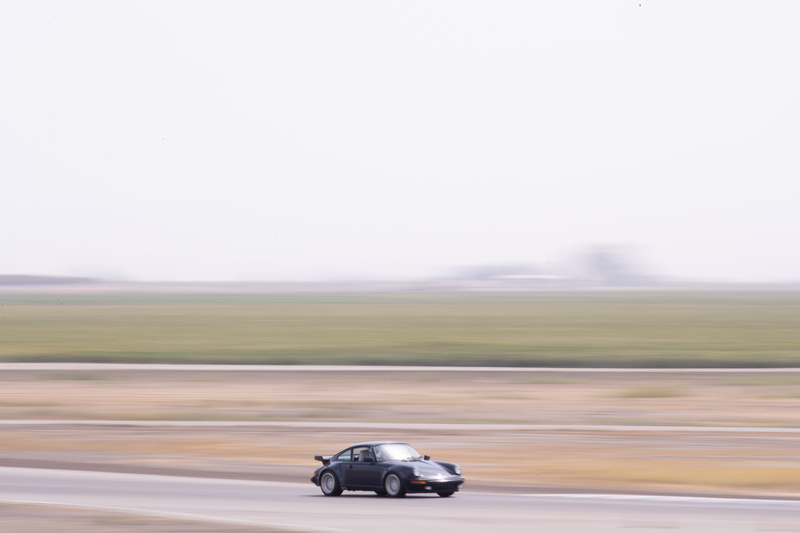 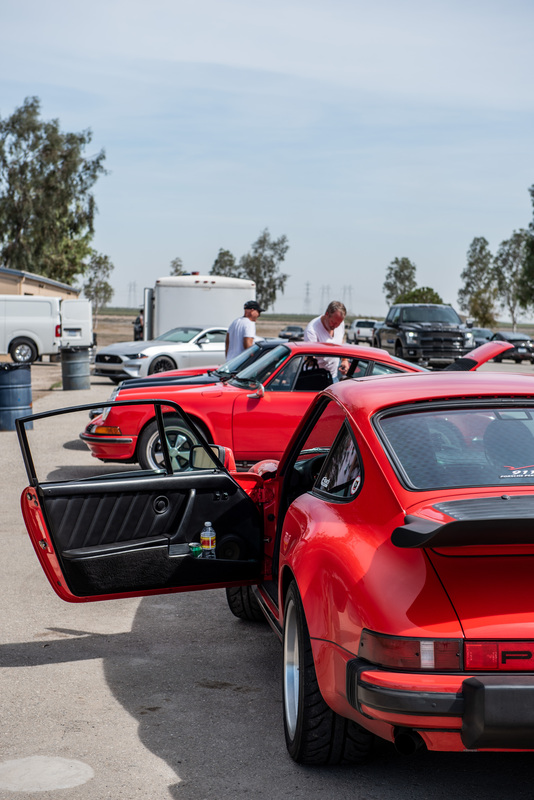 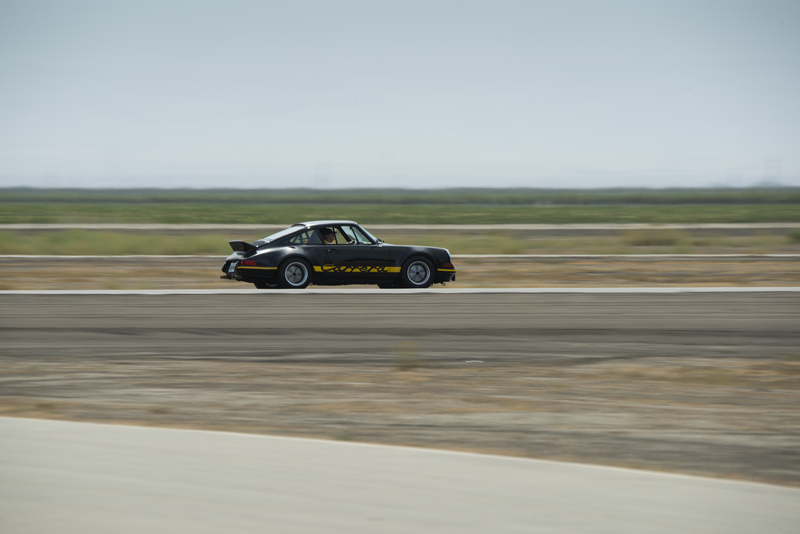 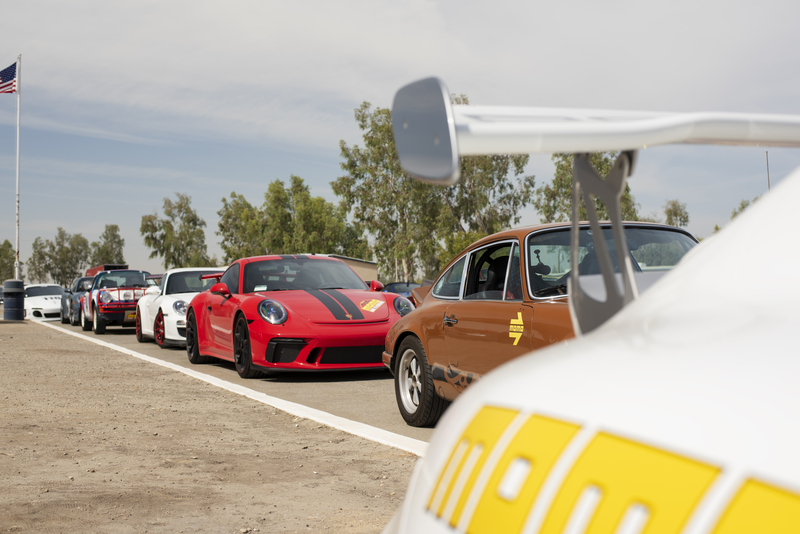 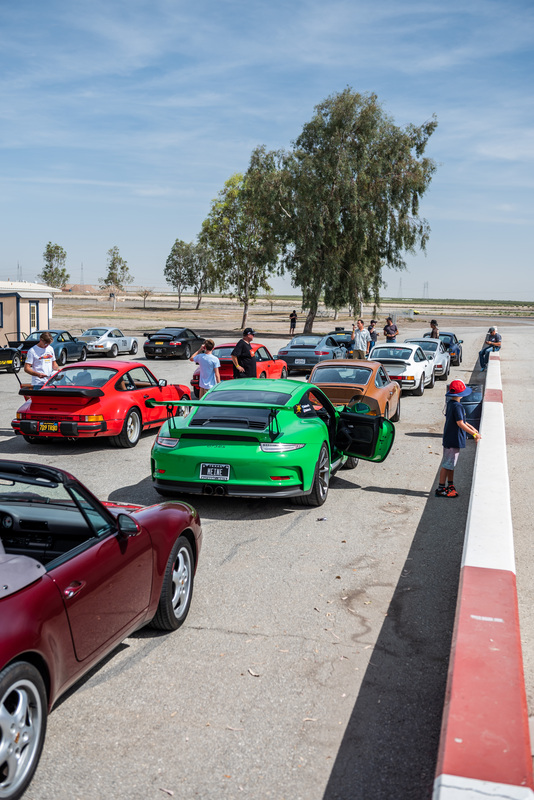 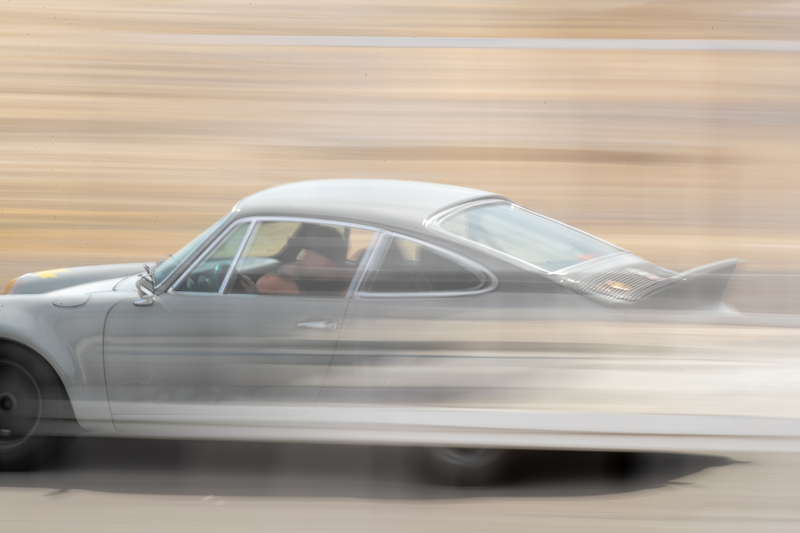 Not only was Buttonwillow the lunch venue but Road to Rennsport participants where let loose on the race track. 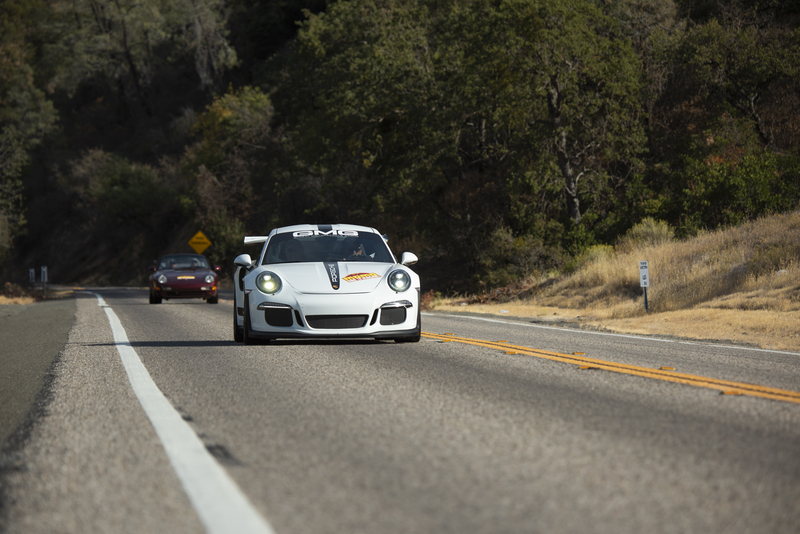 Whether they were driving a genuine 1968 Porsche 911 RSR or 2016 GT2 RS, everybody had a great deal of fun. 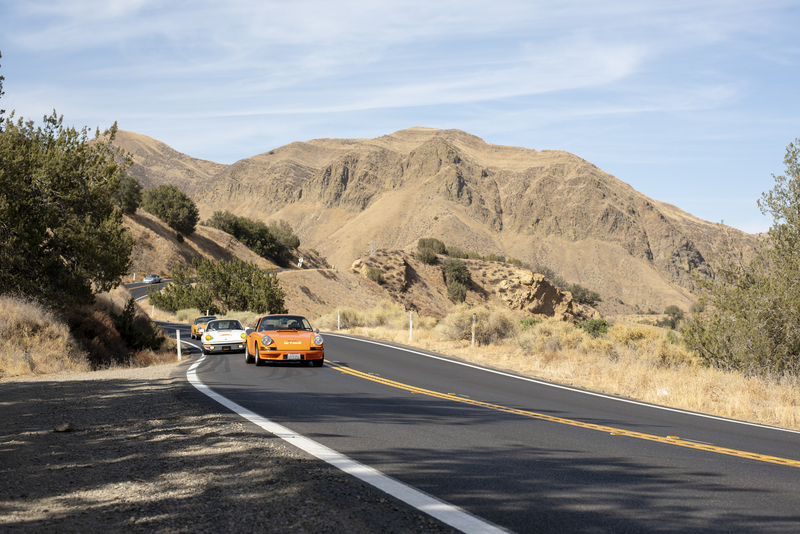 Stage two of the rally offered some of the most beautiful scenery, and the most challenging roads, California has to offer. 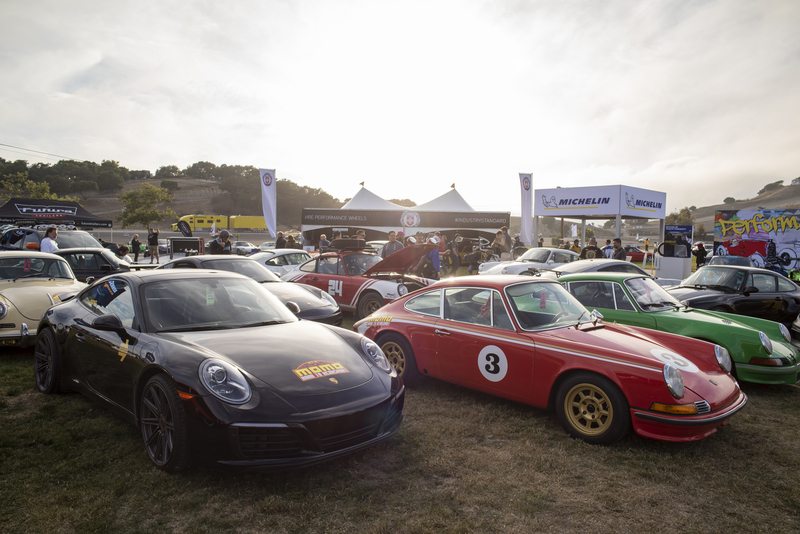 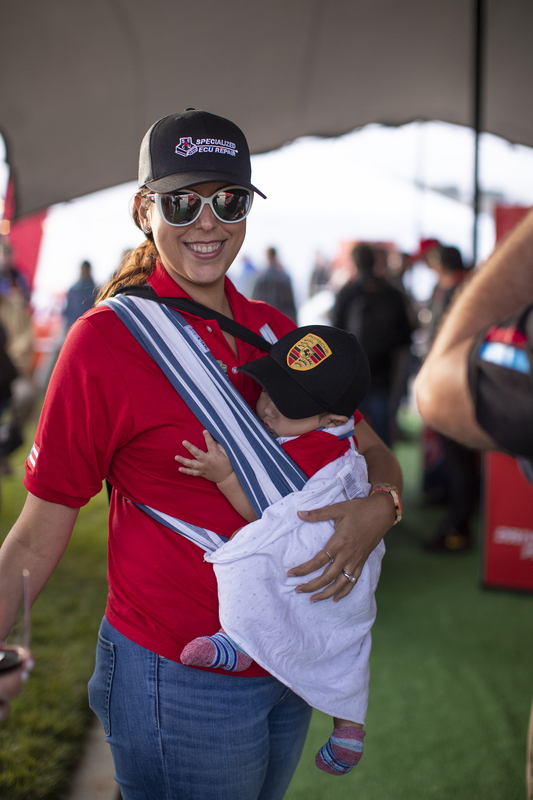 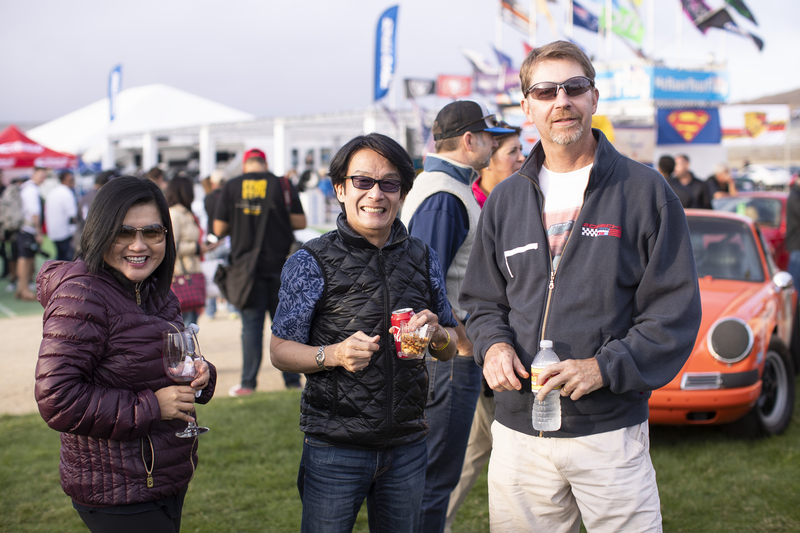 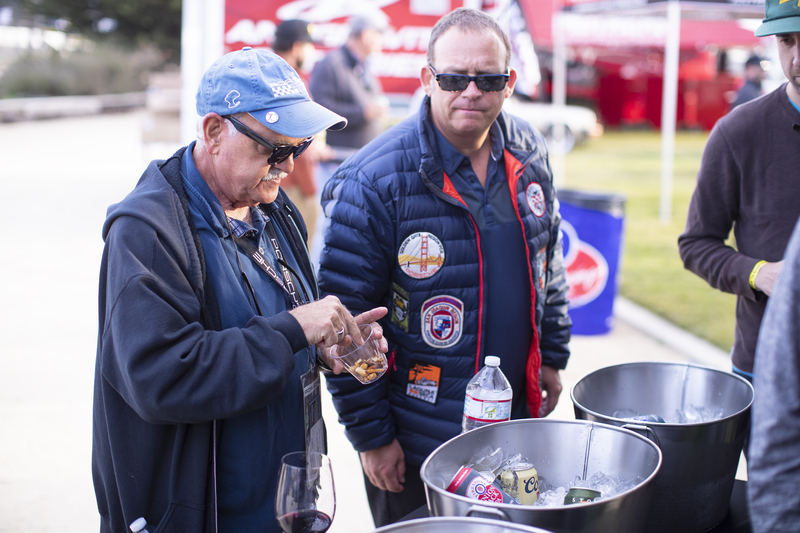 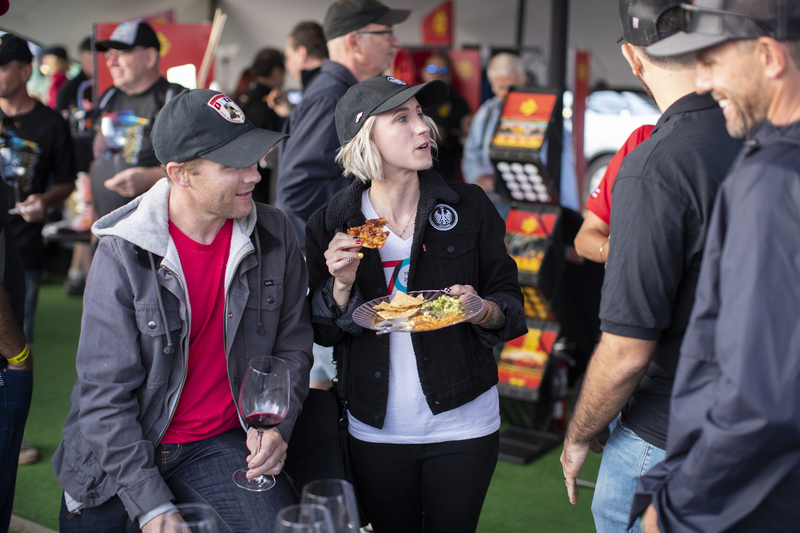 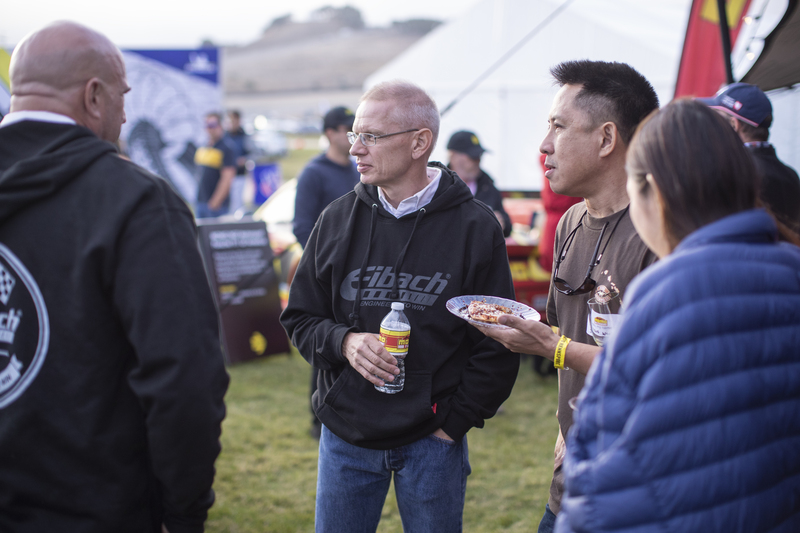 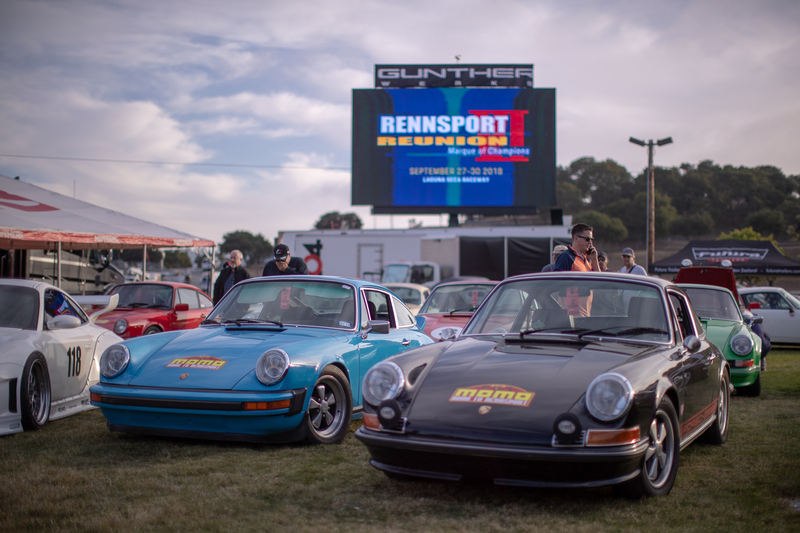 The 200-miles route culminated at Rennsport Reunion VI for an official VIP reception to welcome the drivers to Laguna Seca. 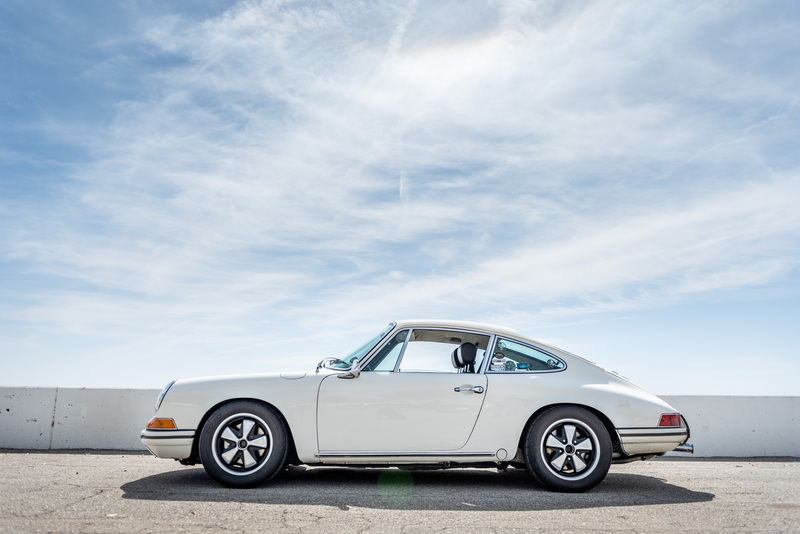 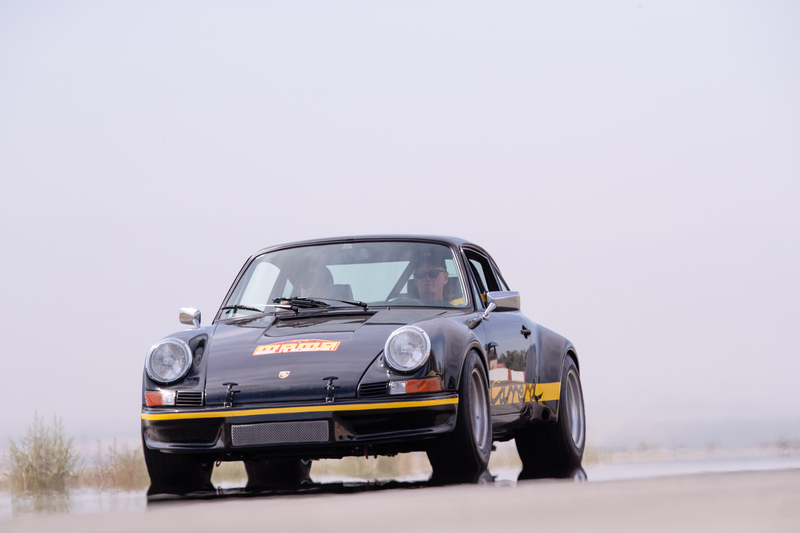 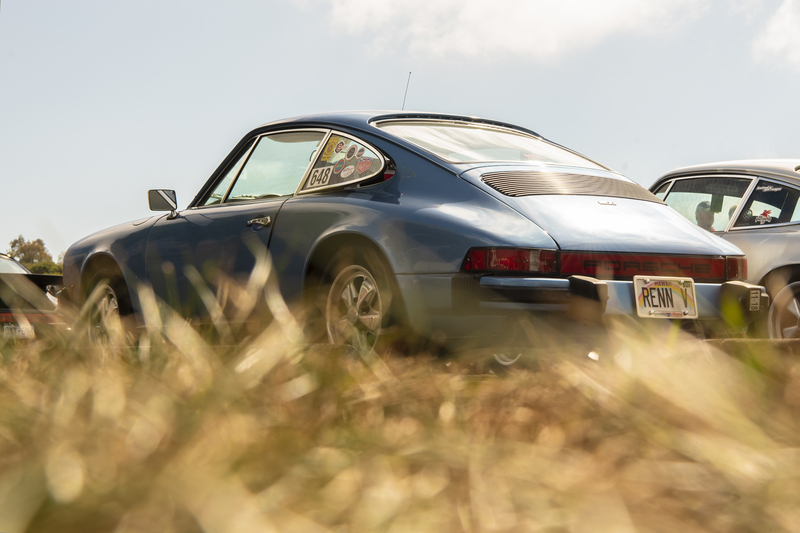 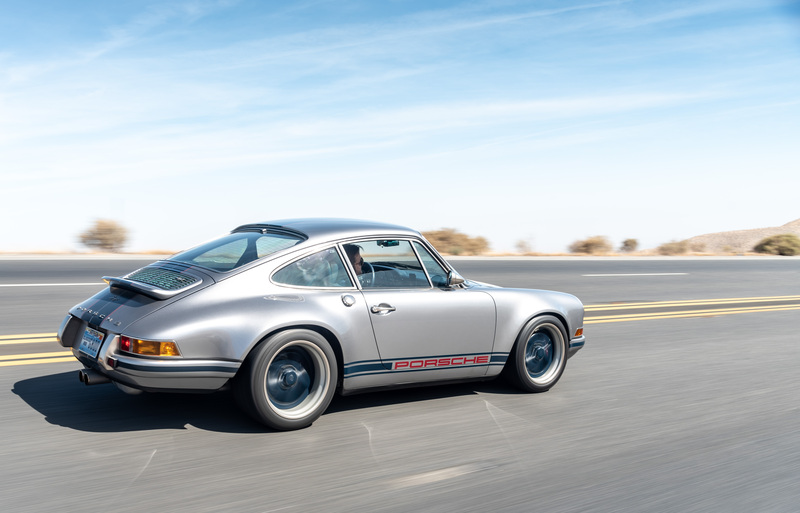 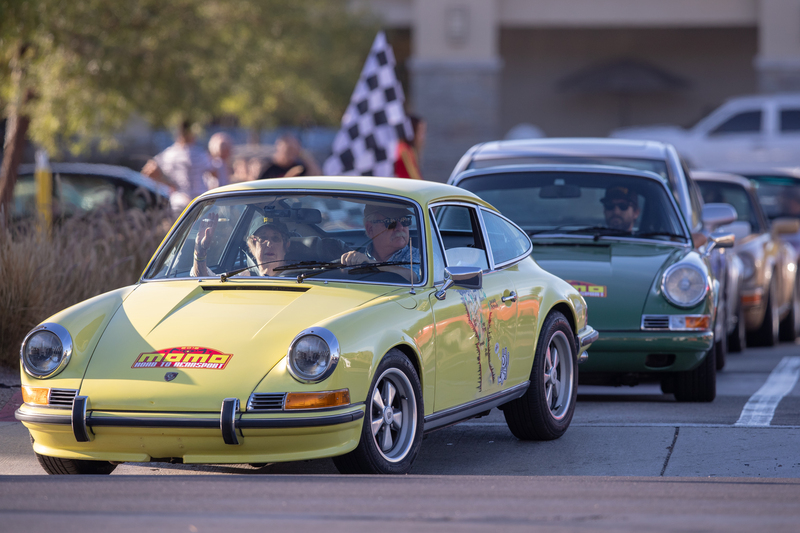 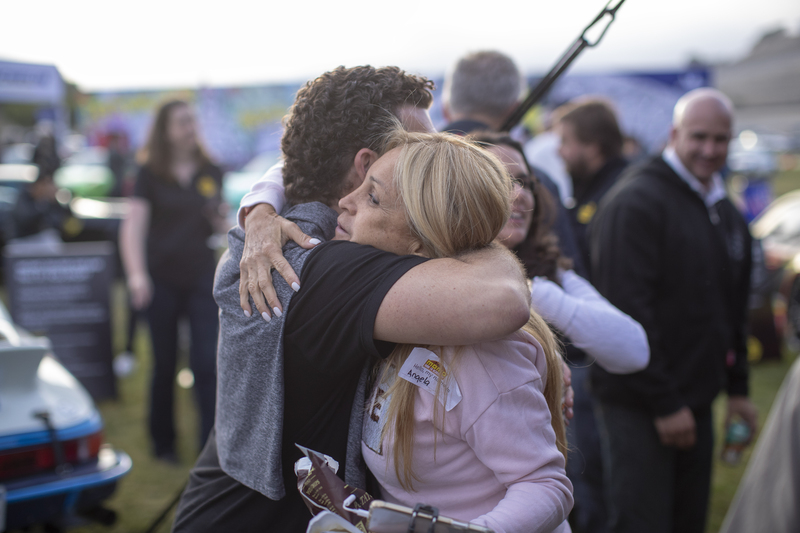 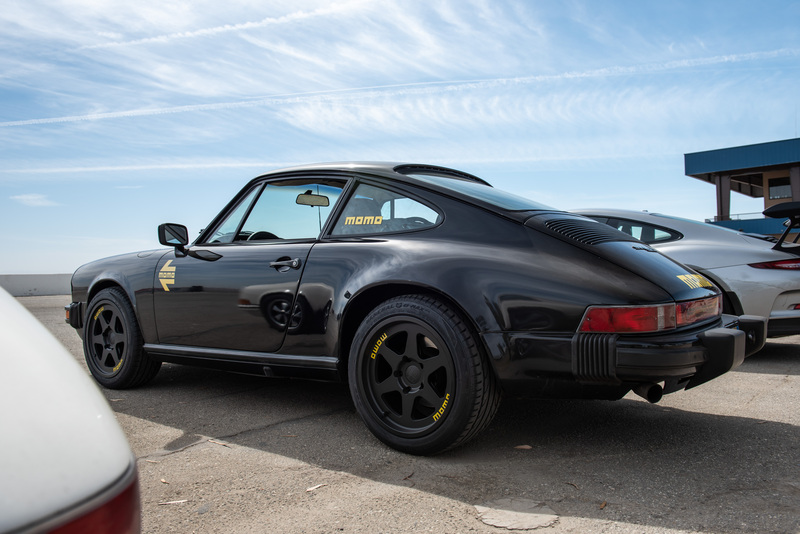 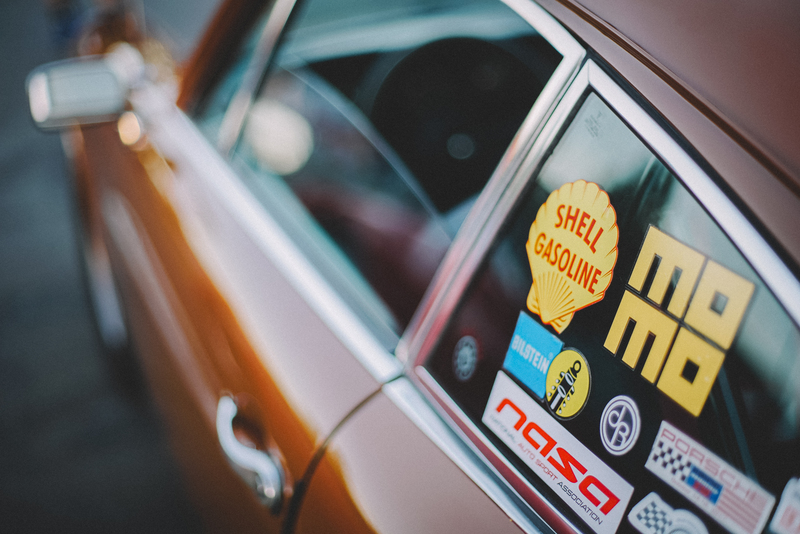 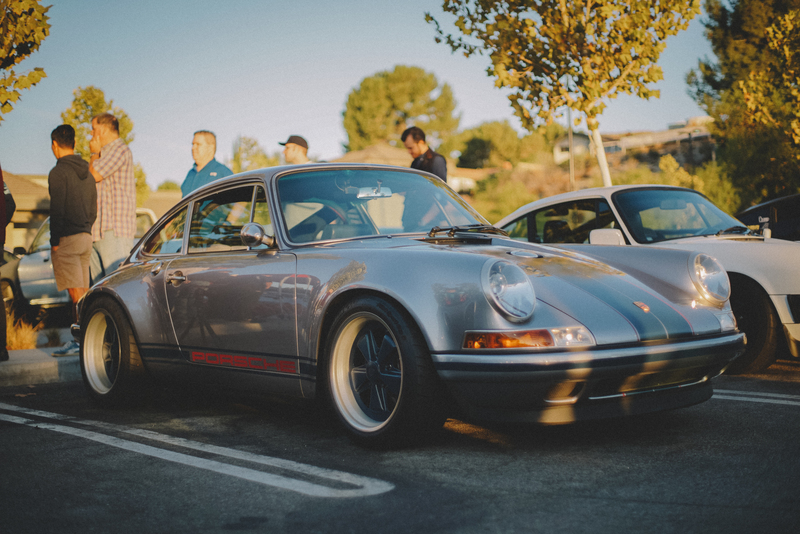 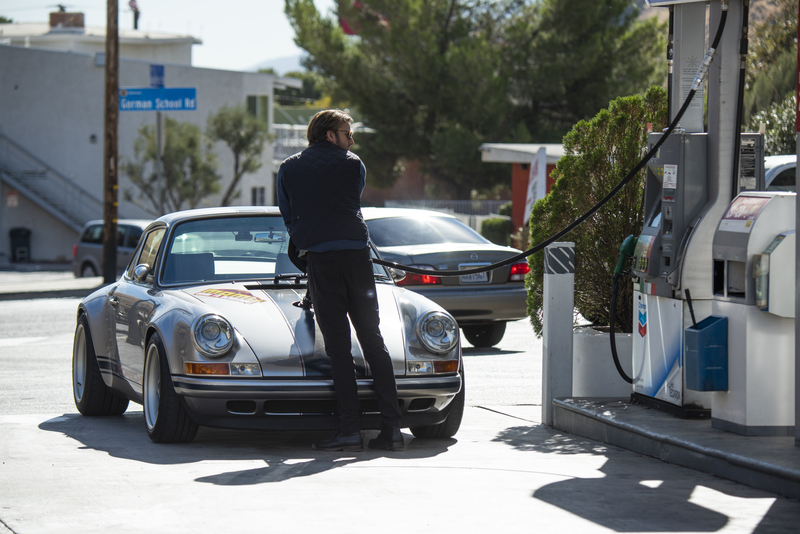 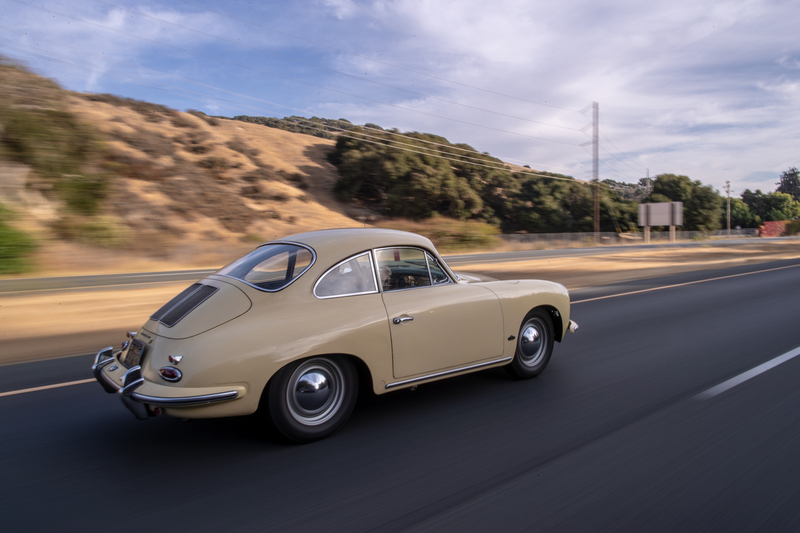 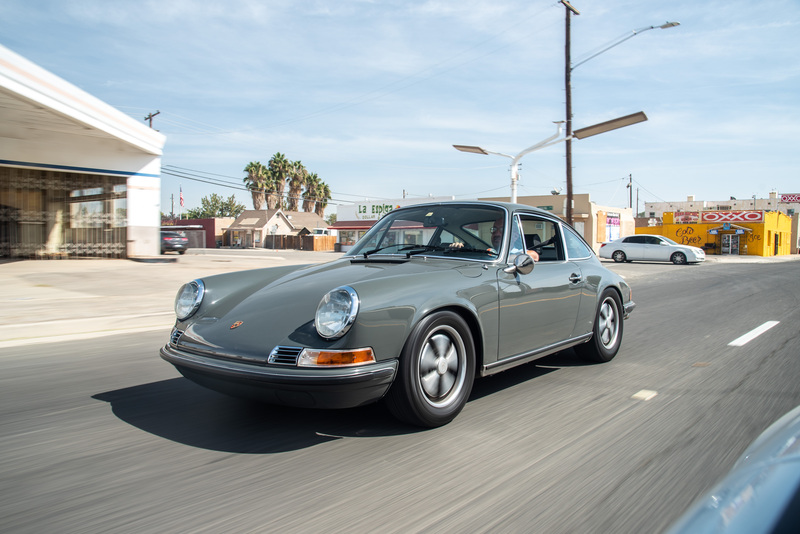 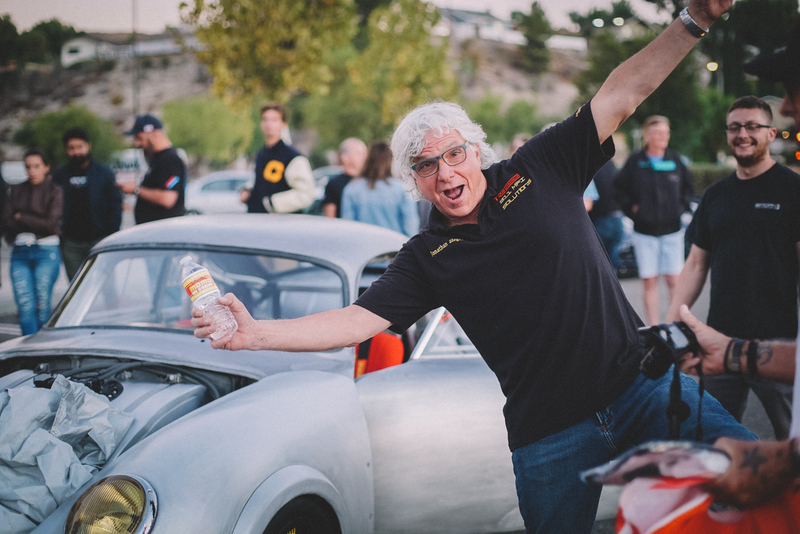 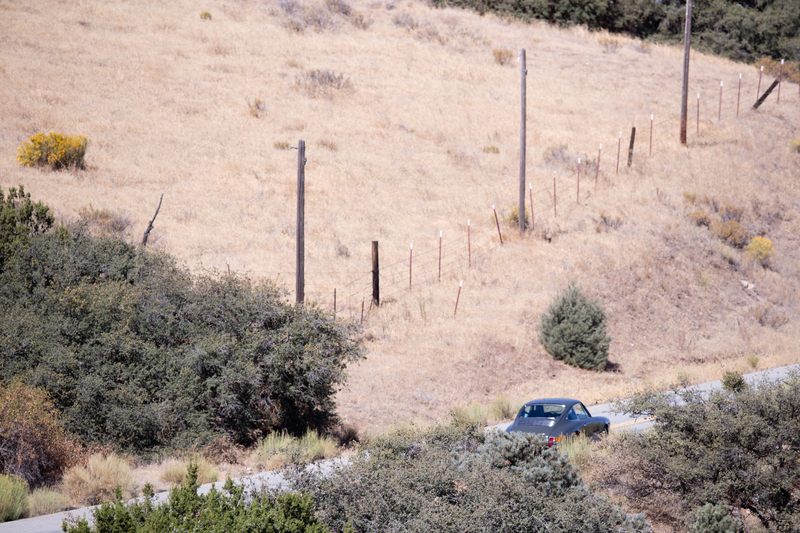 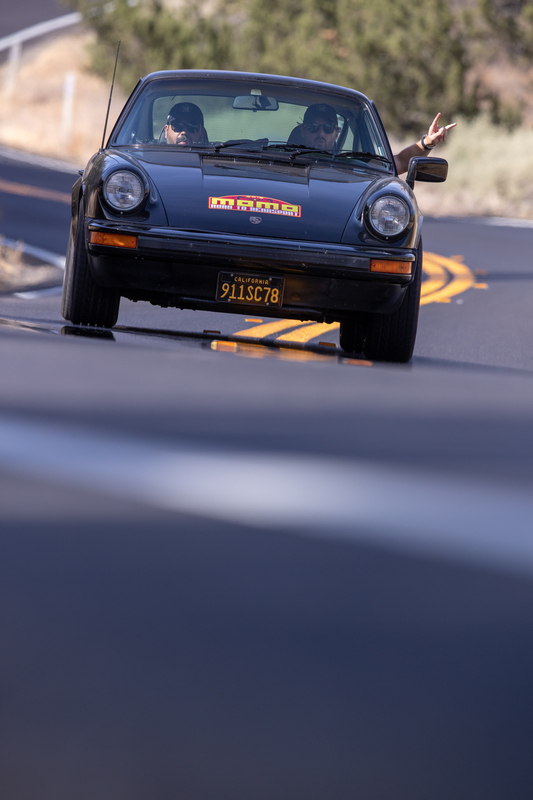 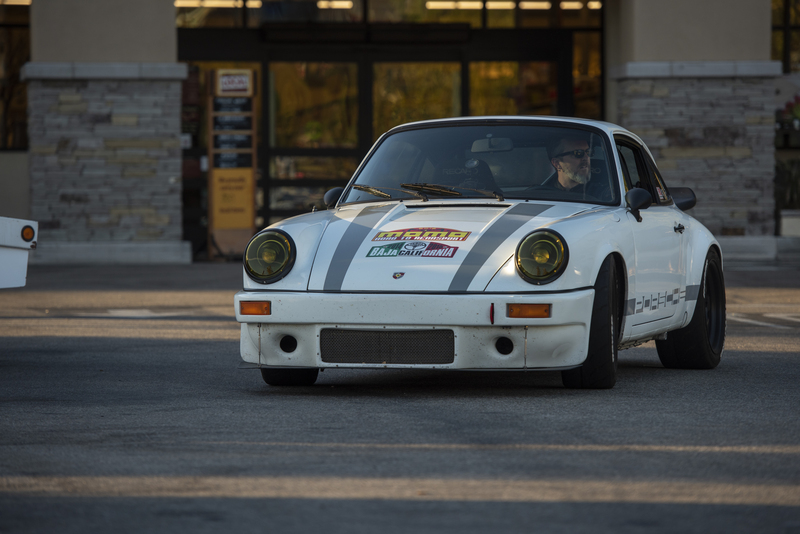 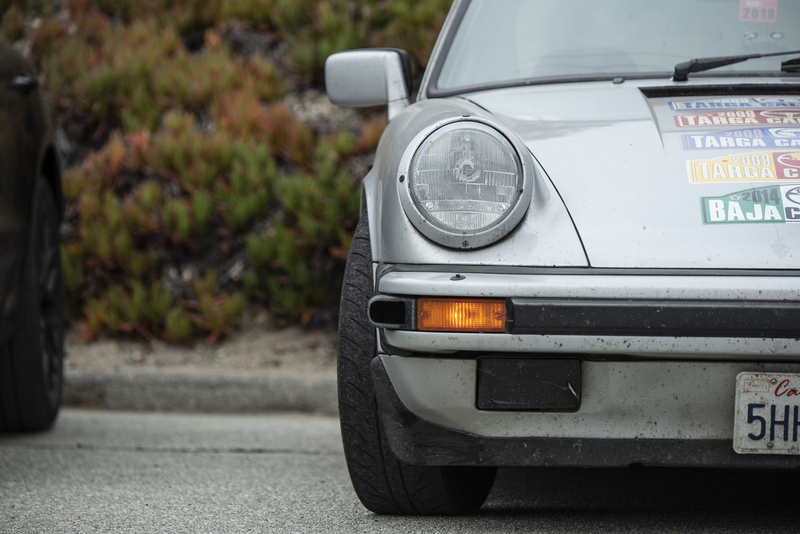 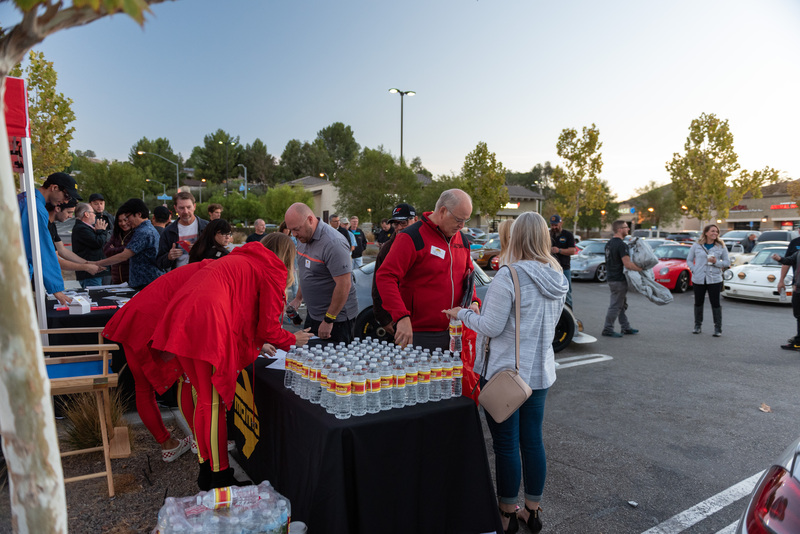 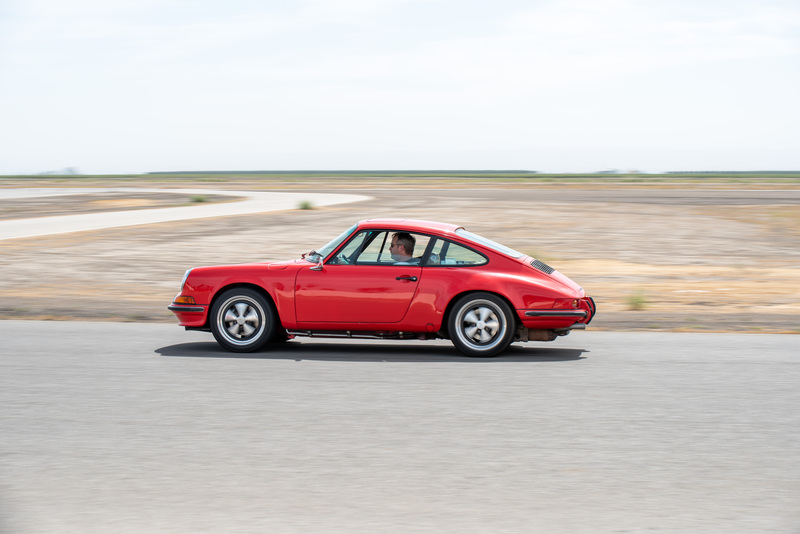 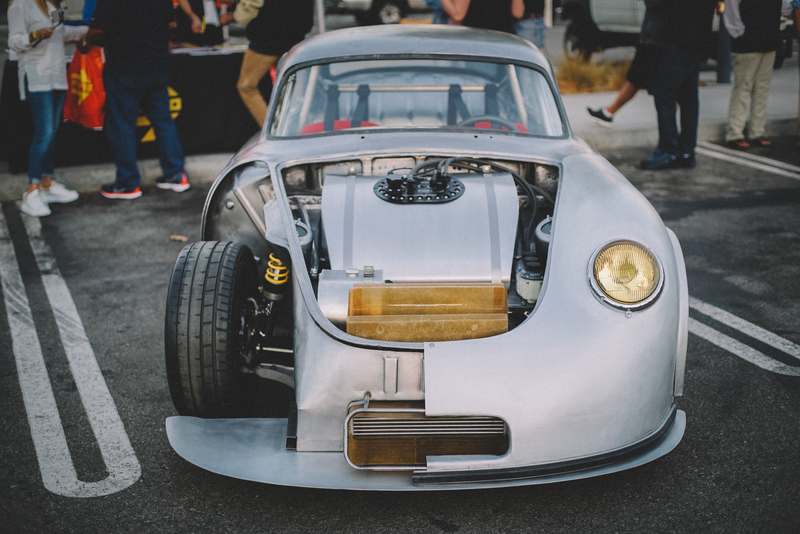 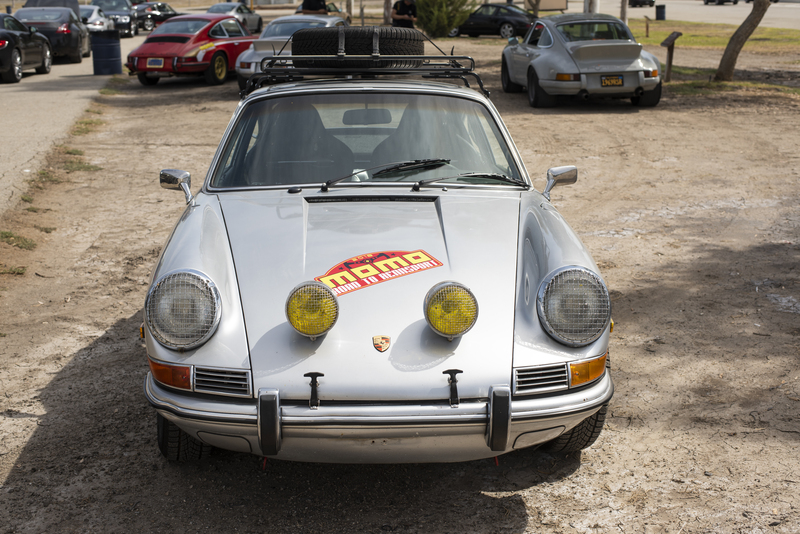 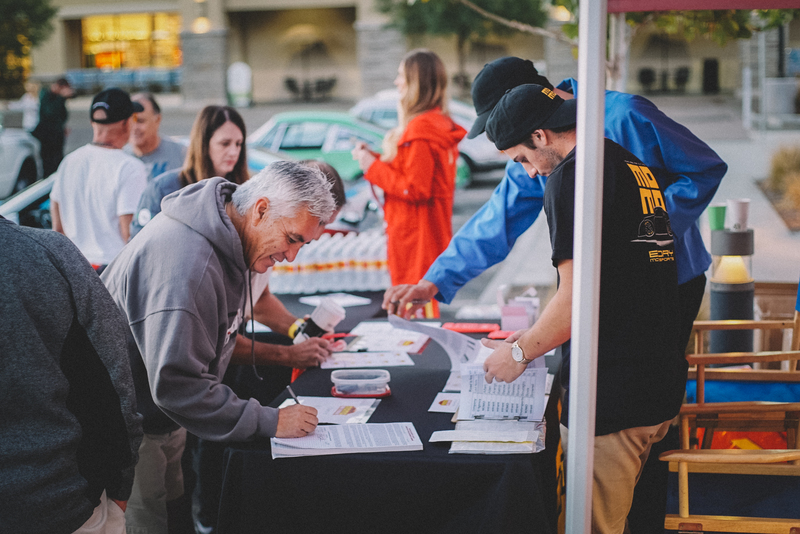 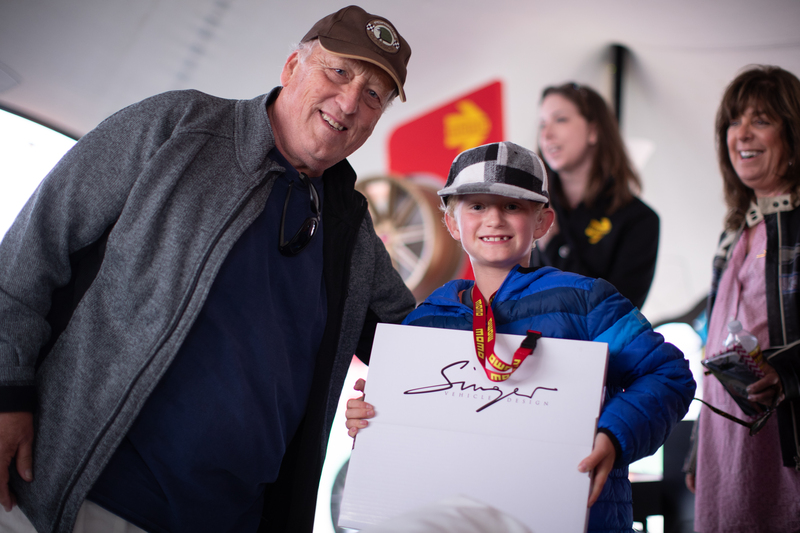 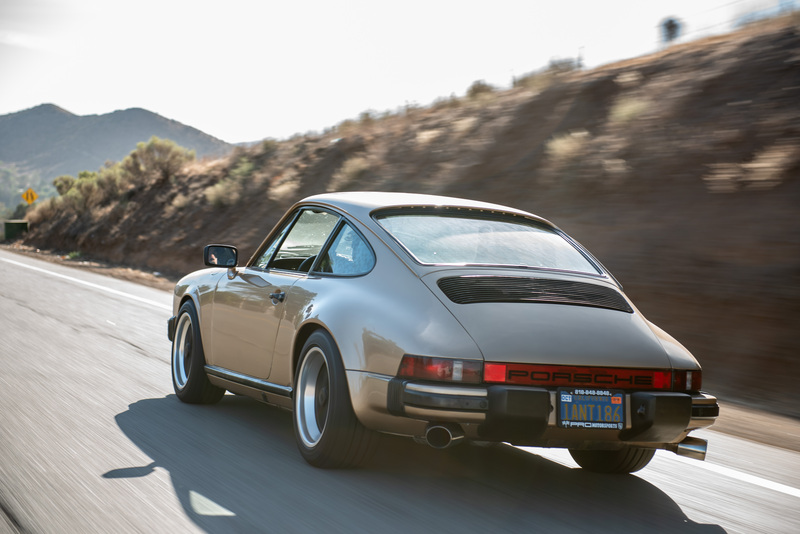 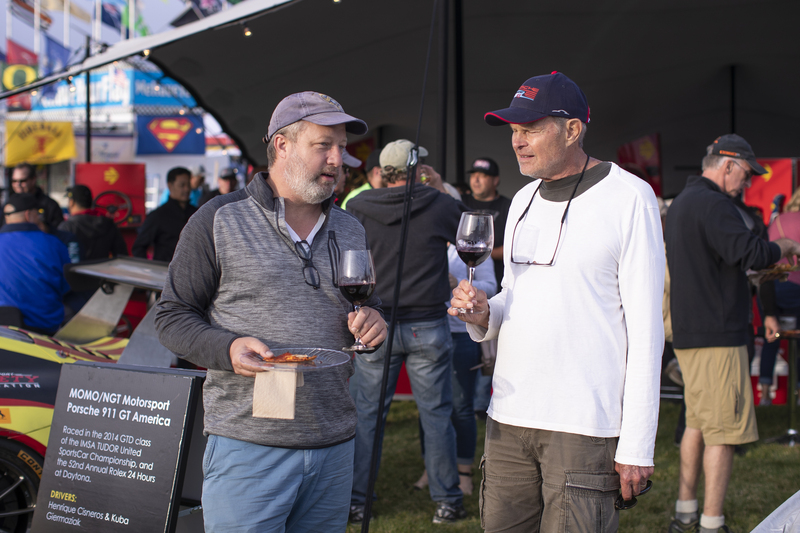 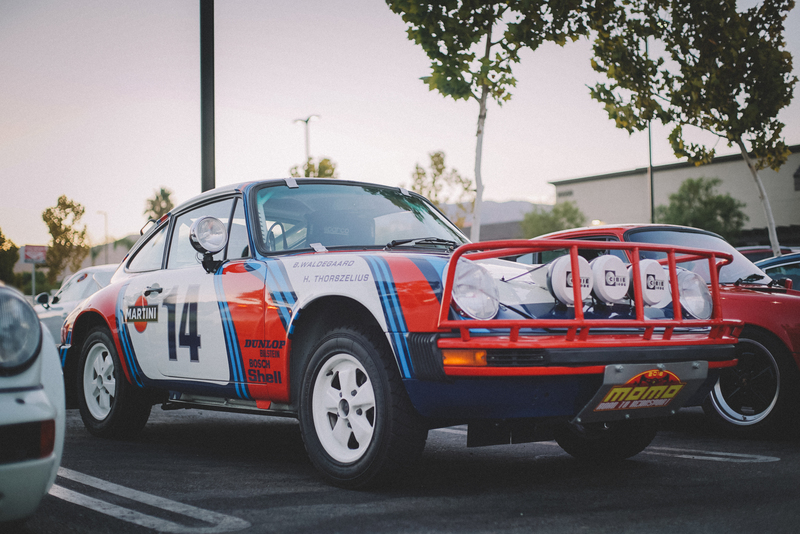 Once the participants had filled their glasses with fine wine donated by the Trefethen Family Vineyards, Pelican Parts presented the Best Car award to the Makellos Classics Porsche 911 Safari. 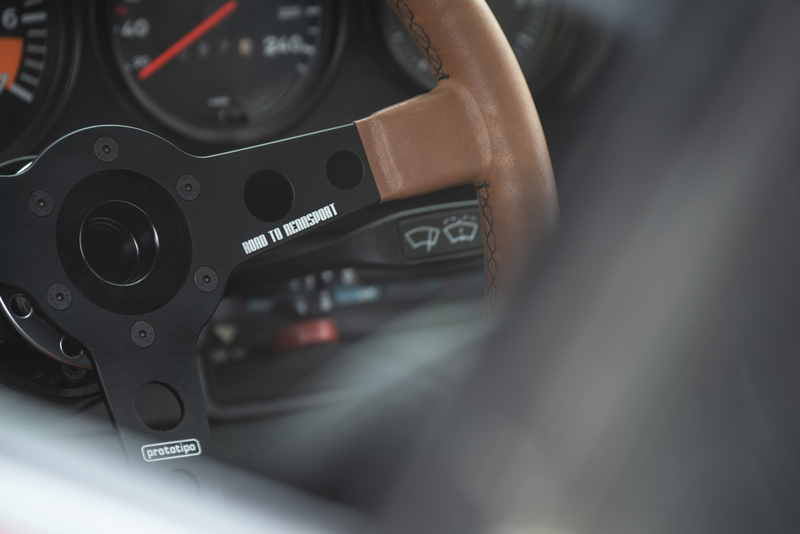 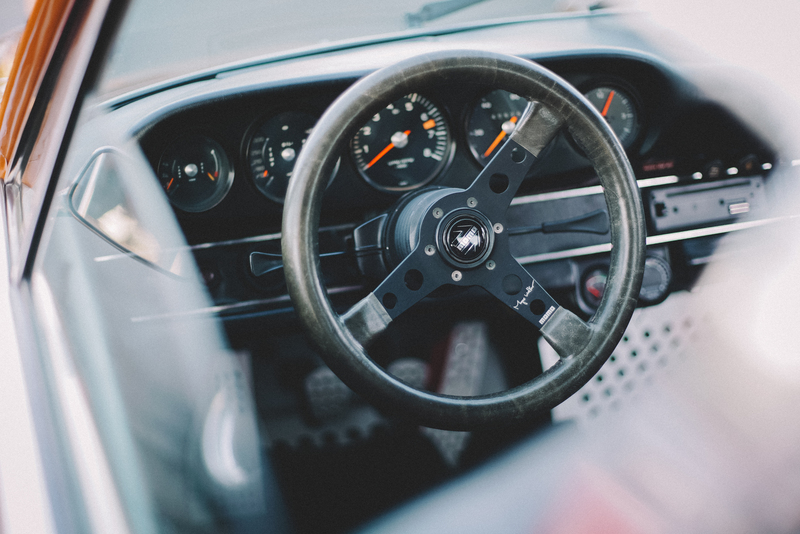 The crew was excited with their award, which was a bespoke MOMO “Rennsport Edition” steering wheel. 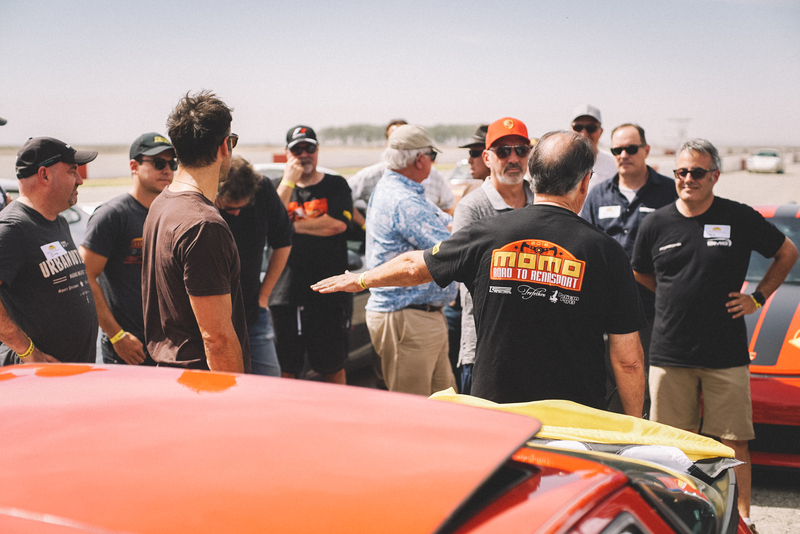 Makellos’ immediately installed the award onto the car to everyone’s delight. 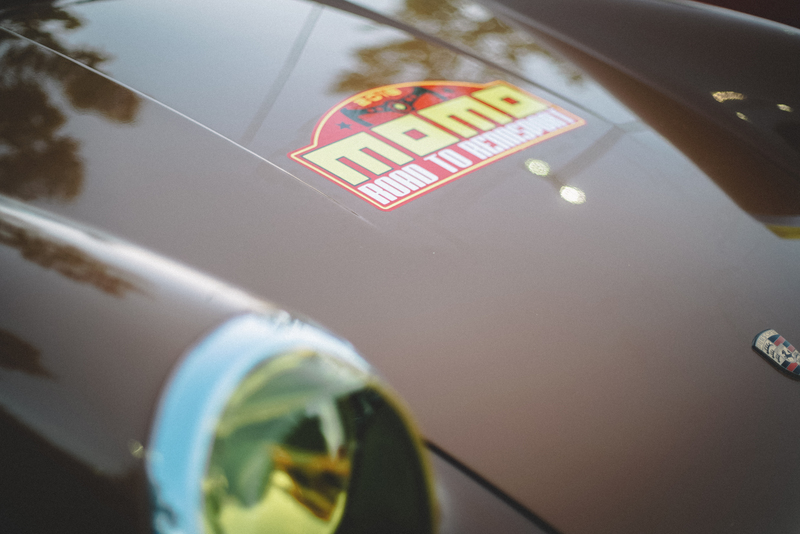 In addition to the Best Car award, the Porsche Legacy award was given to a father and son team by MOMO chairman Henrique Cisneros. 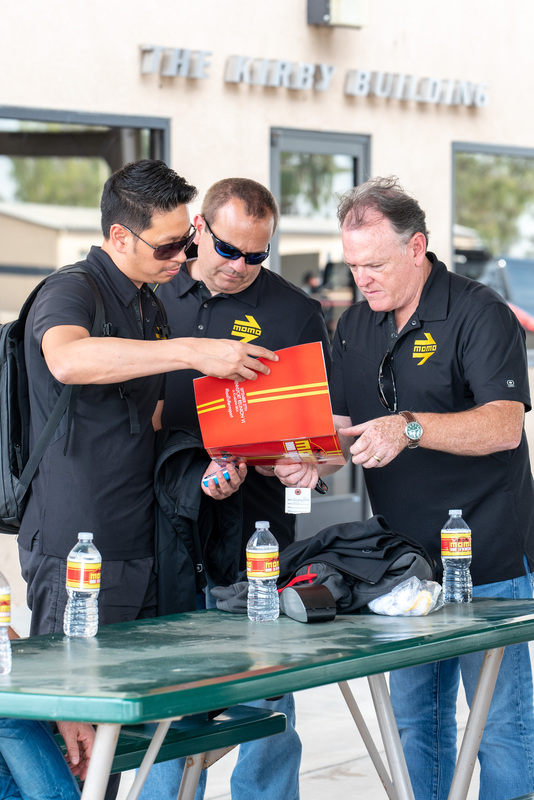 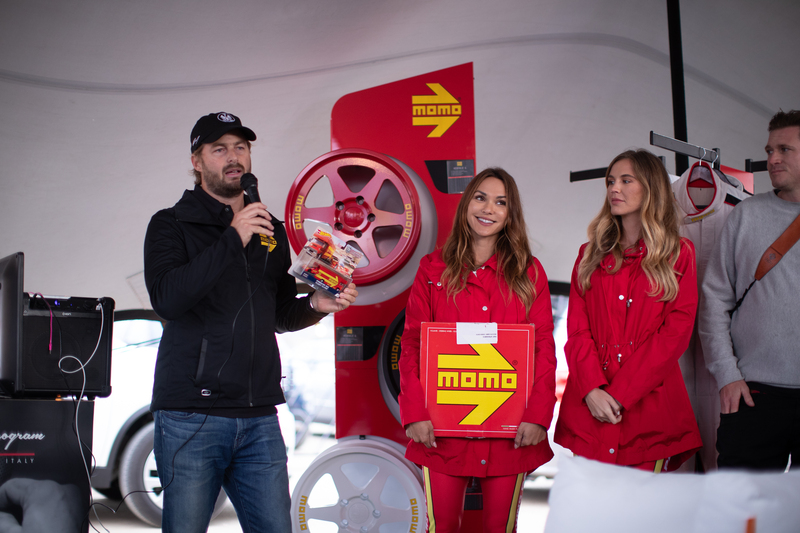 “This duo represents what MOMO is all about,” said Cisneros, “instilling passion and honoring heritage.” The pair was awarded a rare Hot Wheels team transport MOMO Porsche 962 fleet flyer. 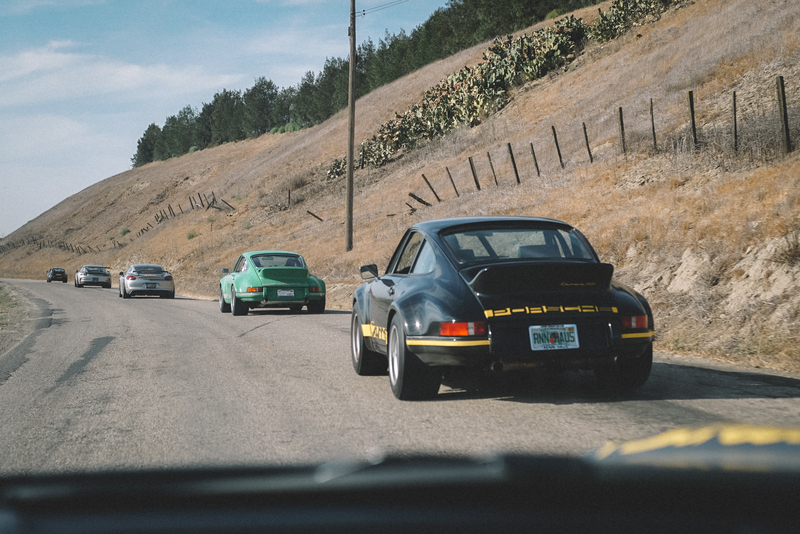 What followed was an epic weekend of all things Porsche, from factory racers to rare road cars, and everything in between. 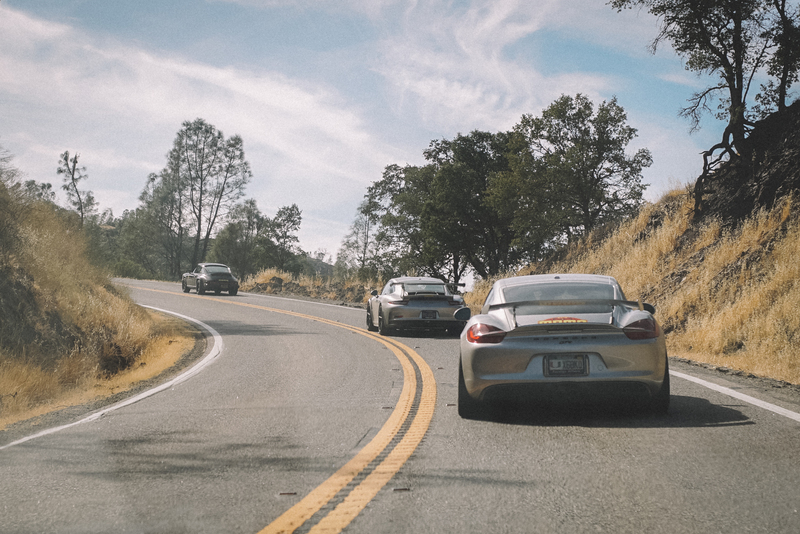 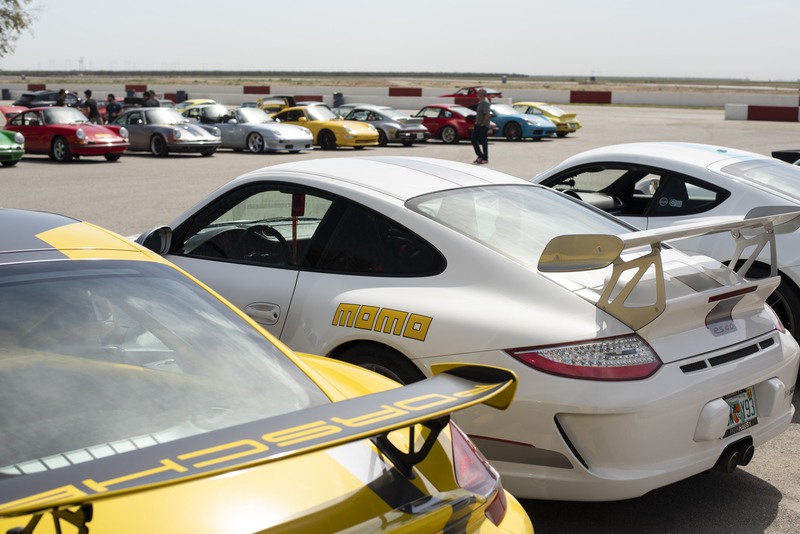 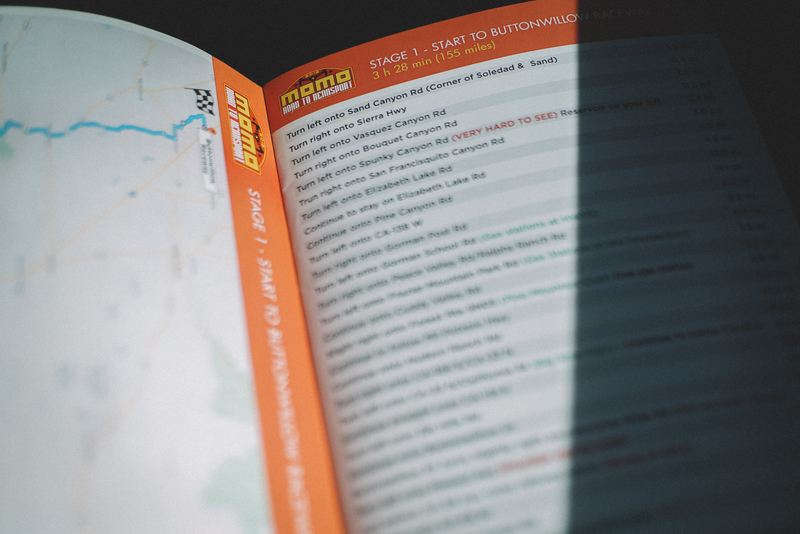 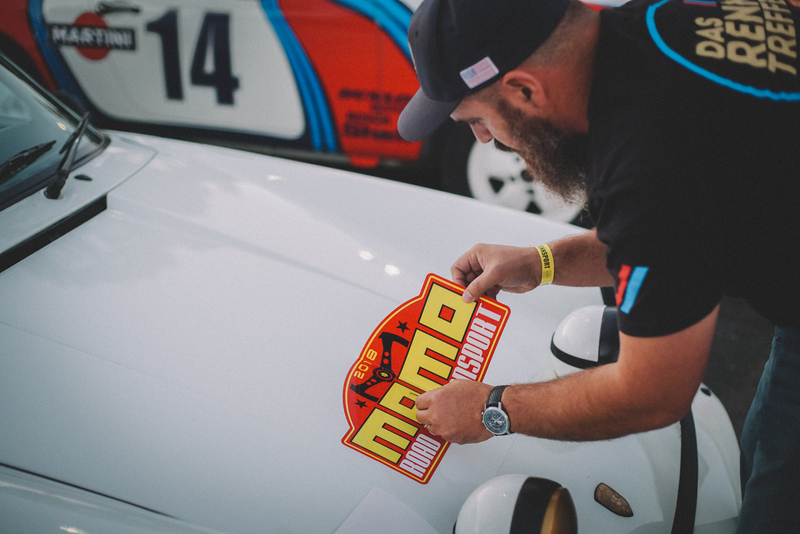 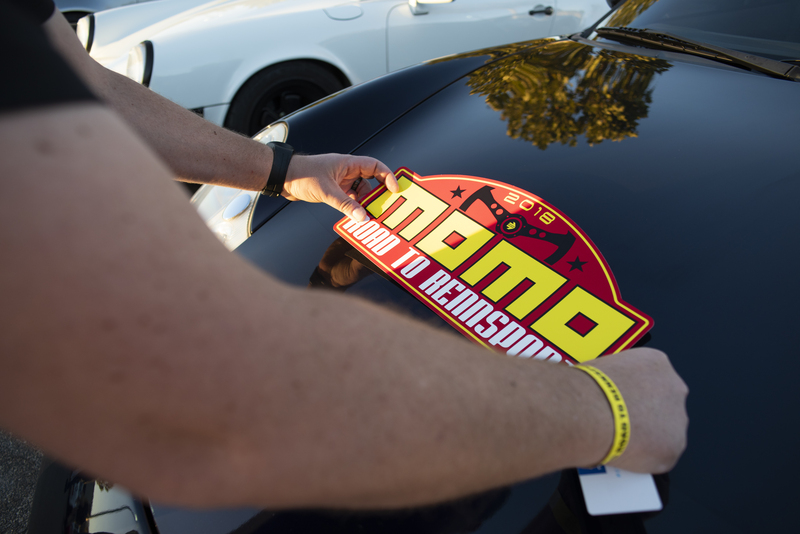 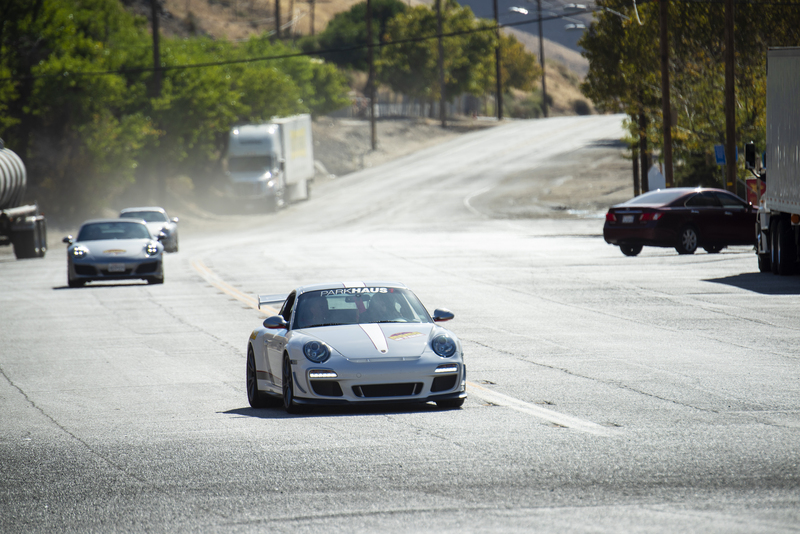 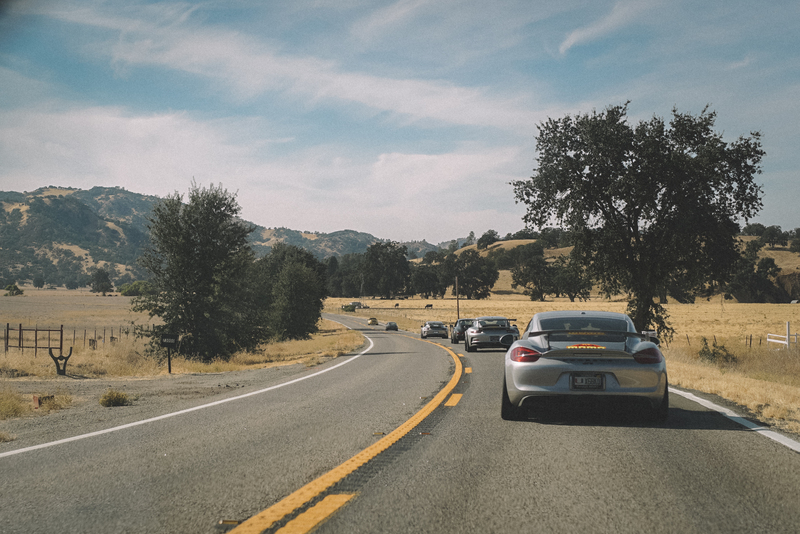 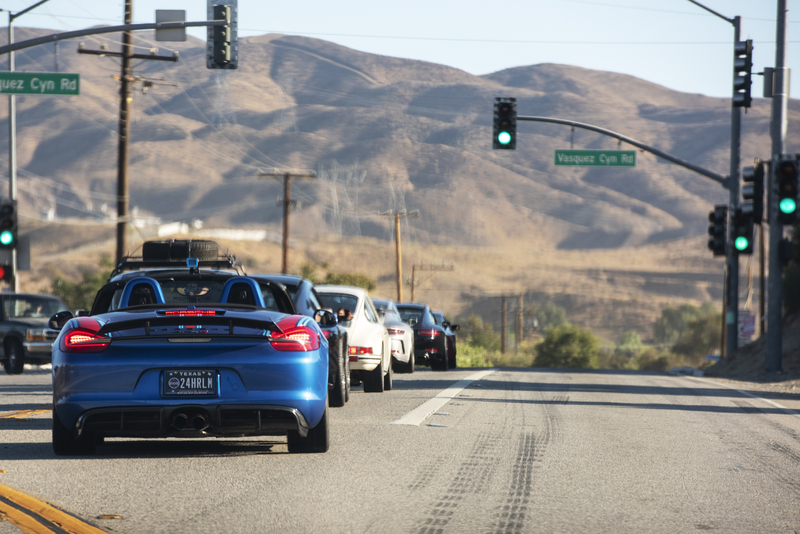 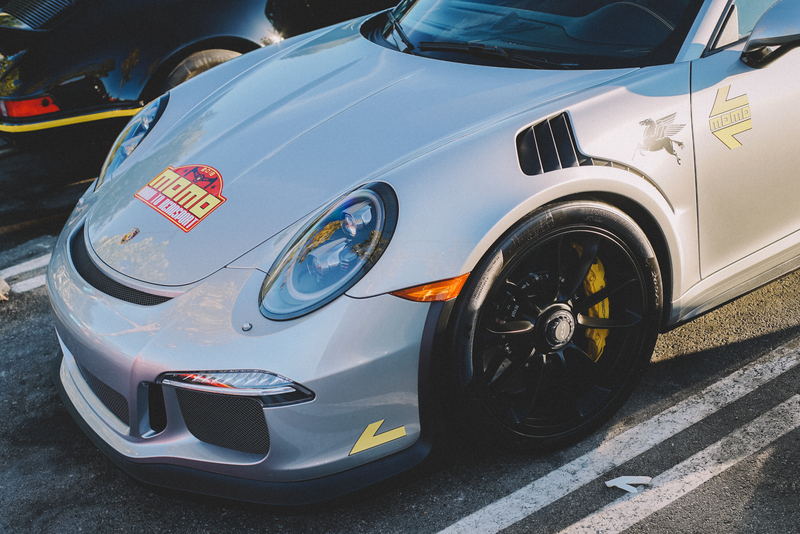 Finally, a very special thanks to everybody who participated on the MOMO Road to Rennsport. 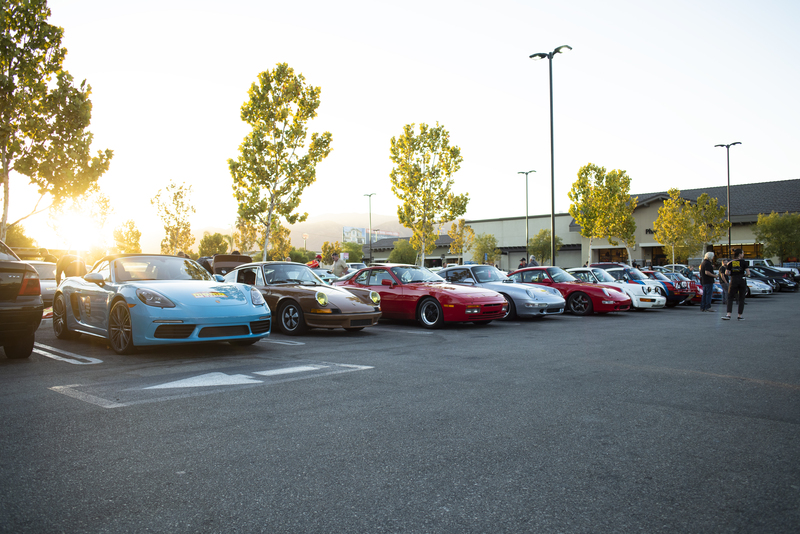 We hope to rally with you all again soon.